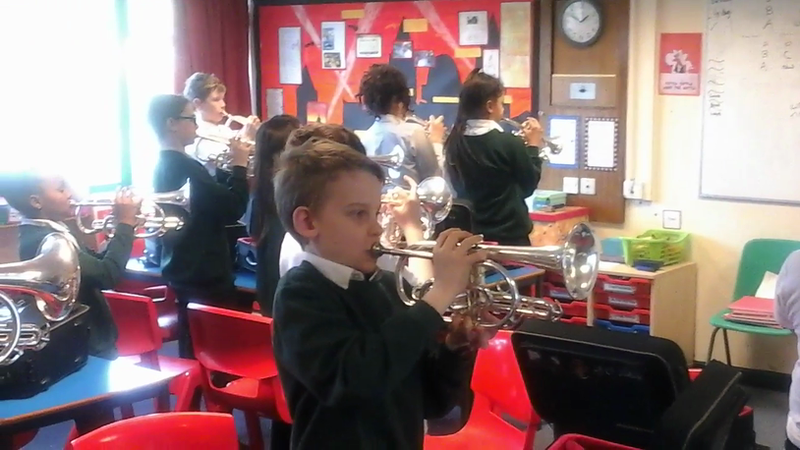 Linking into our adventure, A Whole New World, we have begun to learn how to play part of the song from Aladdin on the cornet. 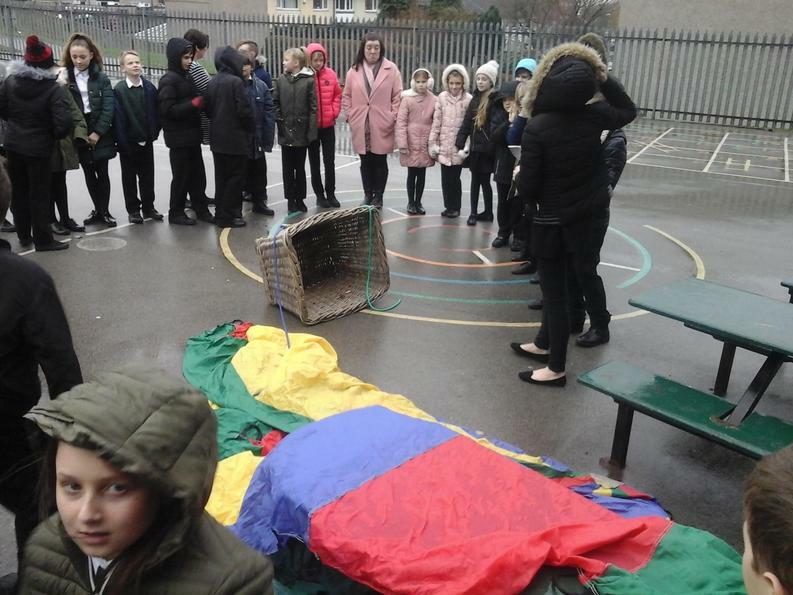 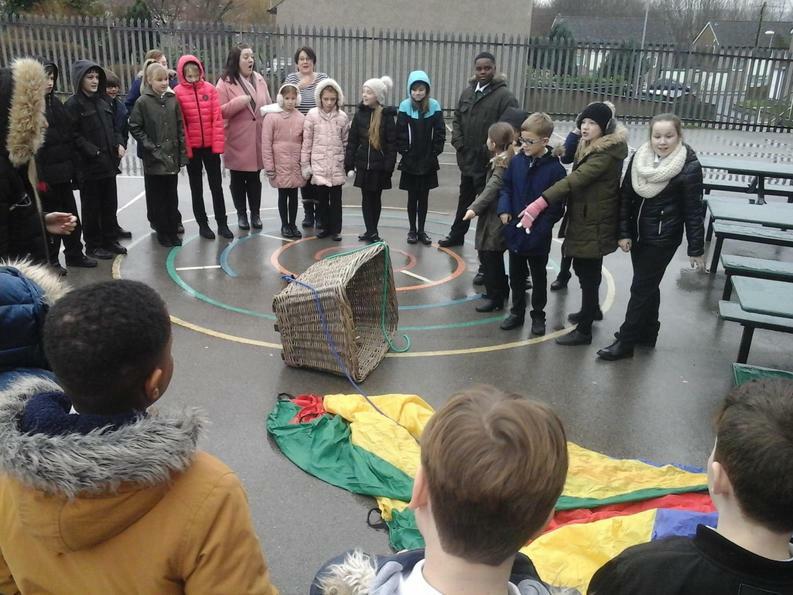 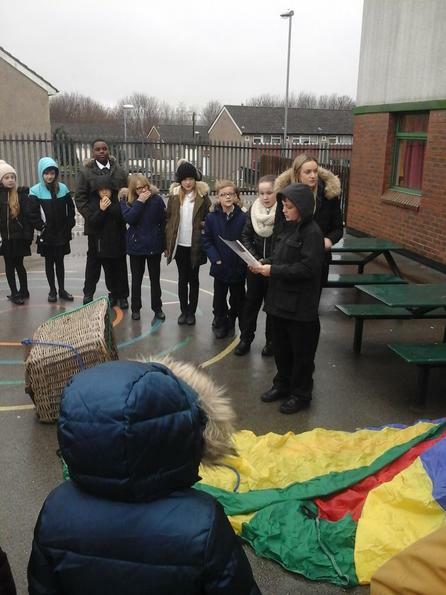 A damaged and deflated hot air balloon had crashed onto the playground but its pilot was nowhere to be found. 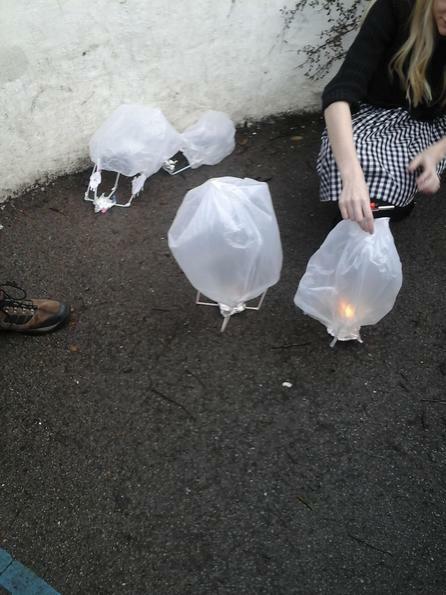 The only clue as to the pilot was a note we found inside the balloons basket. 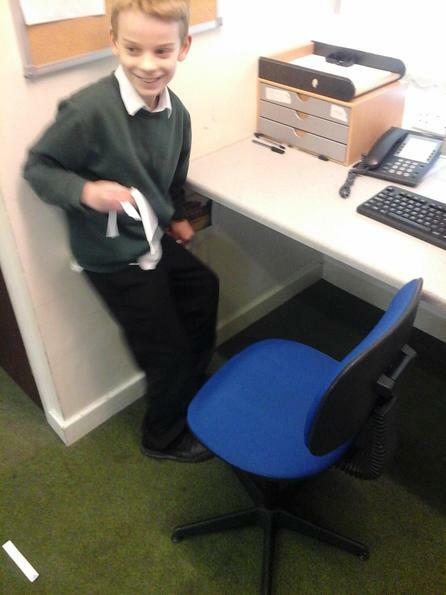 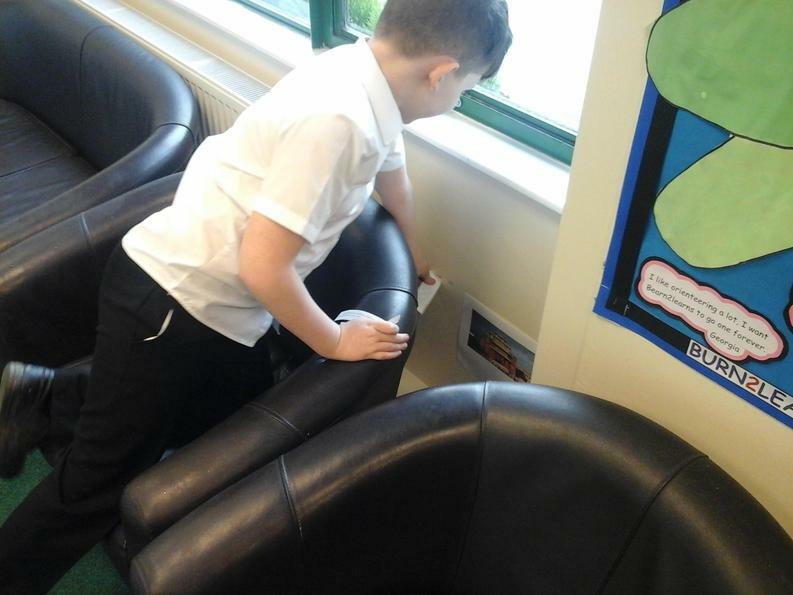 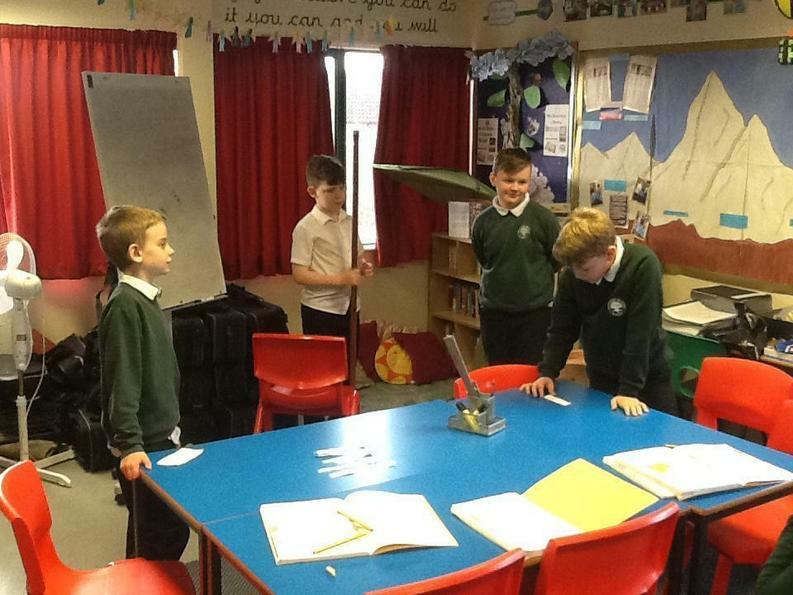 Searching around school, we found the seven items that Barnaby Miles had lost from the balloon: a compass, a video-camera, a map, survival kit, a pair of binoculars, a postcard from New York and clips from a TV documentary. 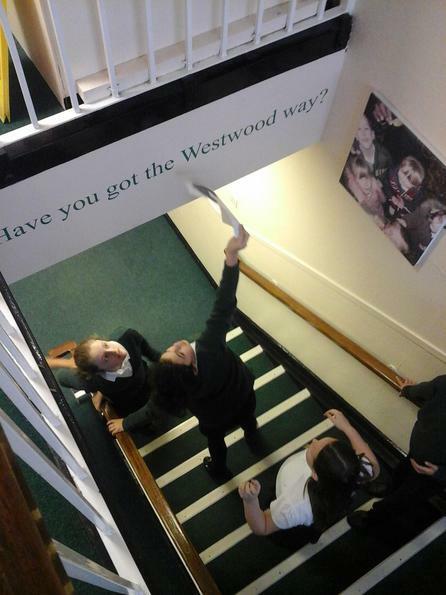 Because this was such a strange occurrence, we wrote newspaper articles for the Westwood Weekly describing just what had happened. 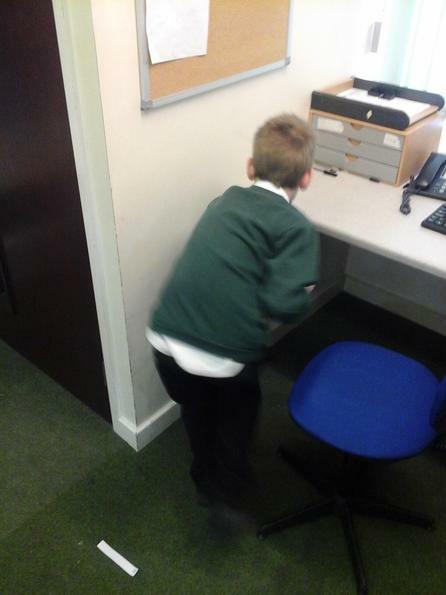 Then, while we were writing the article, another letter from Barnaby arrived with even more exciting news! 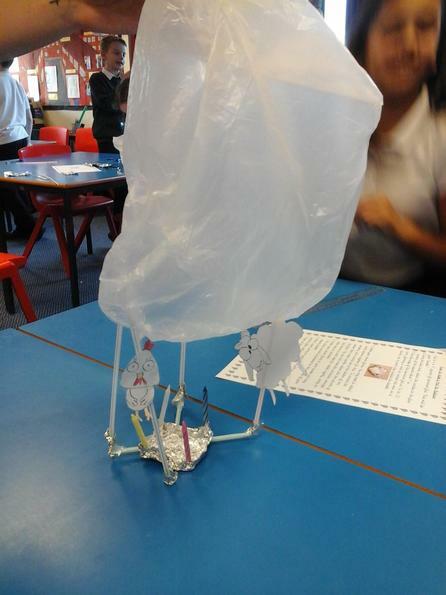 Accepting Barnaby's challenge and spurred on by the prospect of accompanying his on his round the world trip, we constructed a model of Barnaby's balloon using foil, straws and a plastic bag. 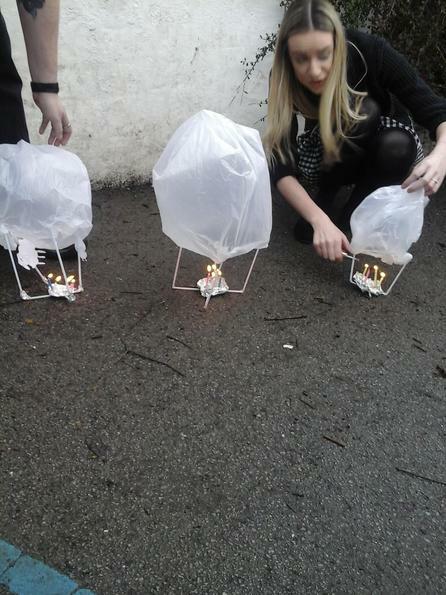 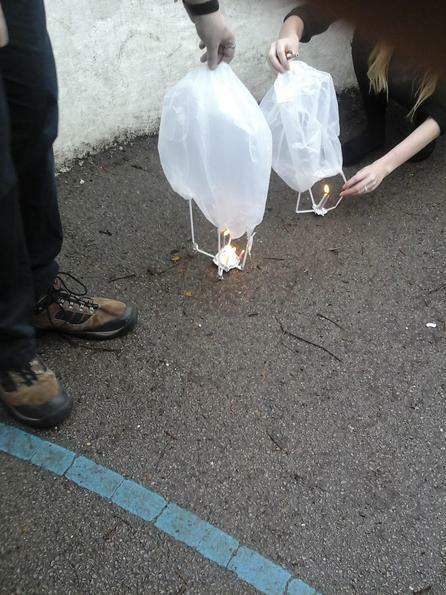 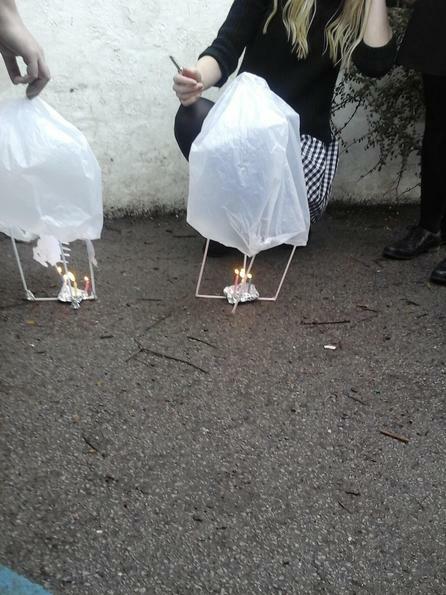 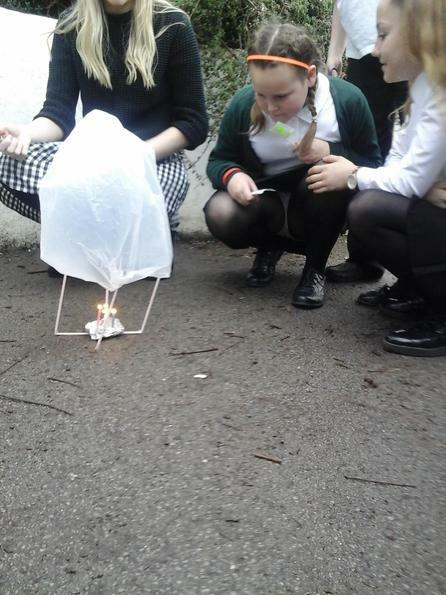 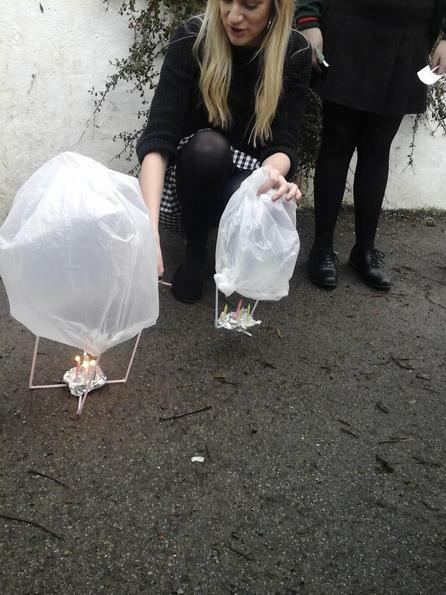 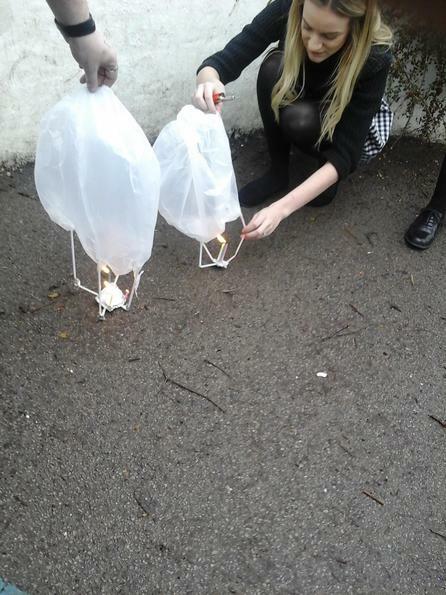 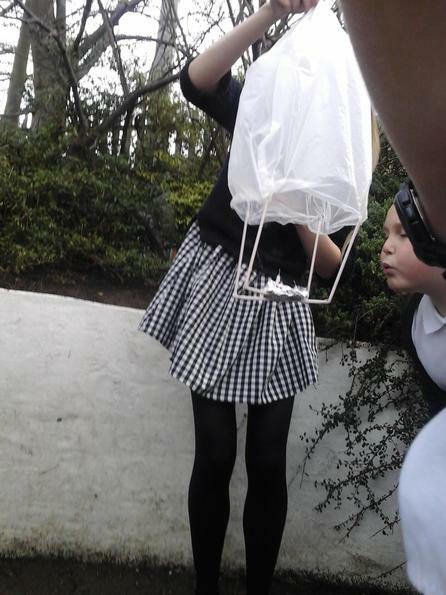 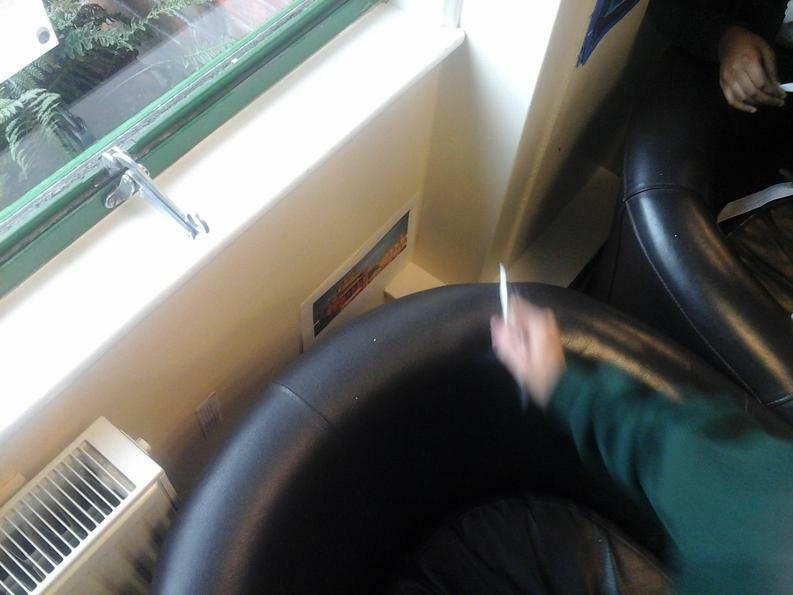 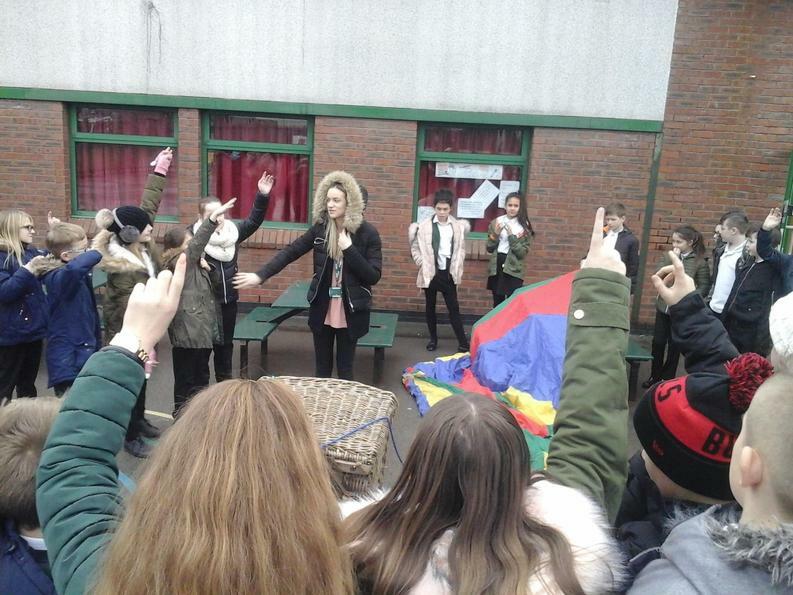 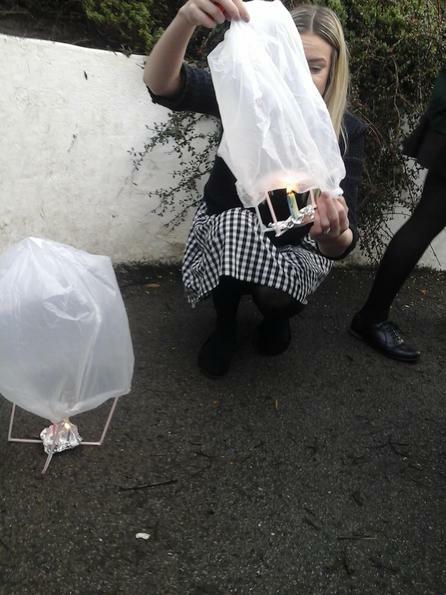 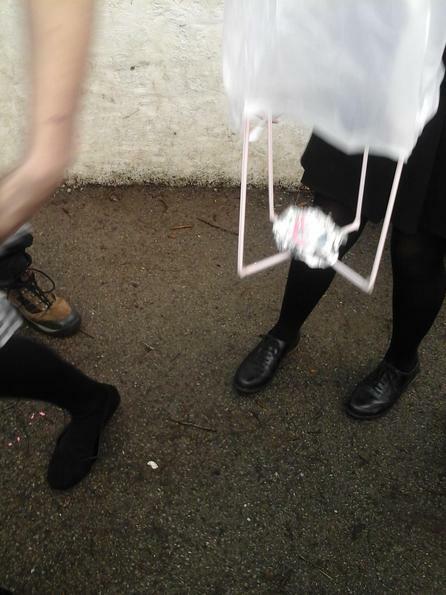 Once completed, we then headed outside to test the balloons using birthday candles to heat the air and inflate the bag. 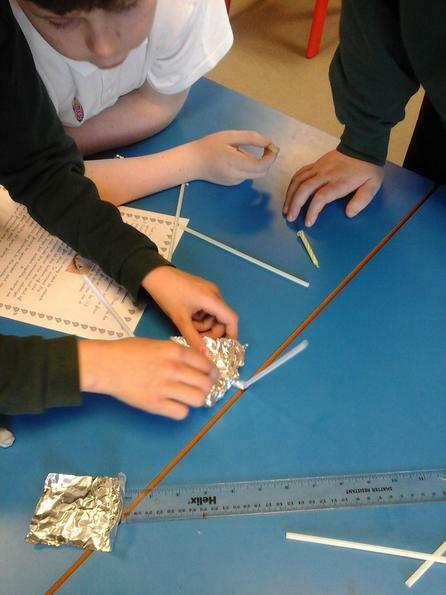 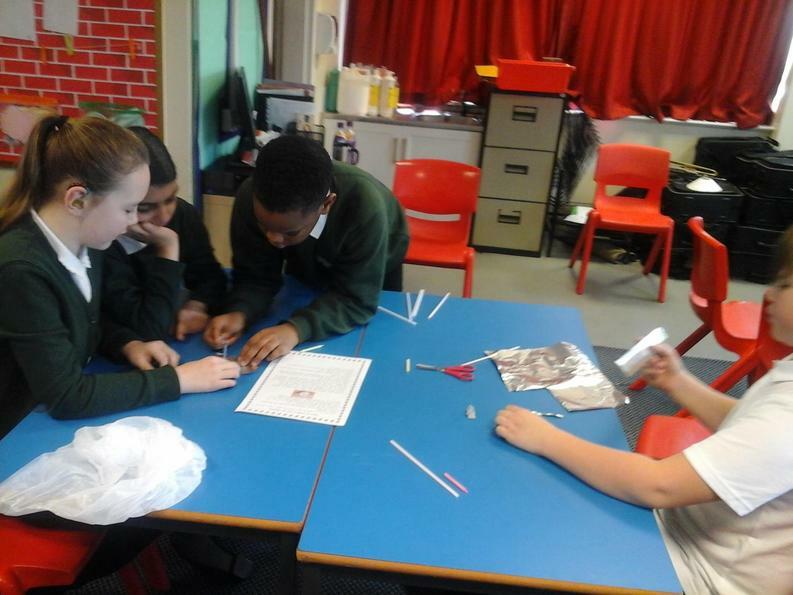 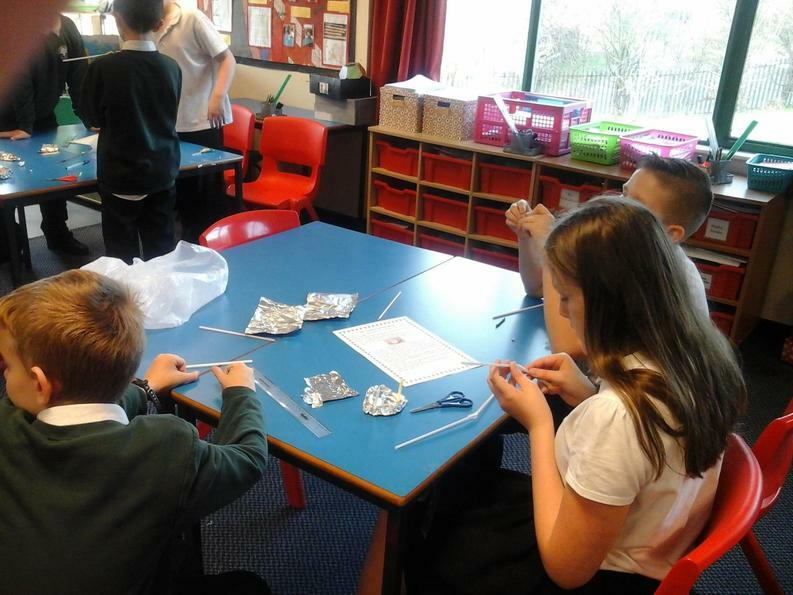 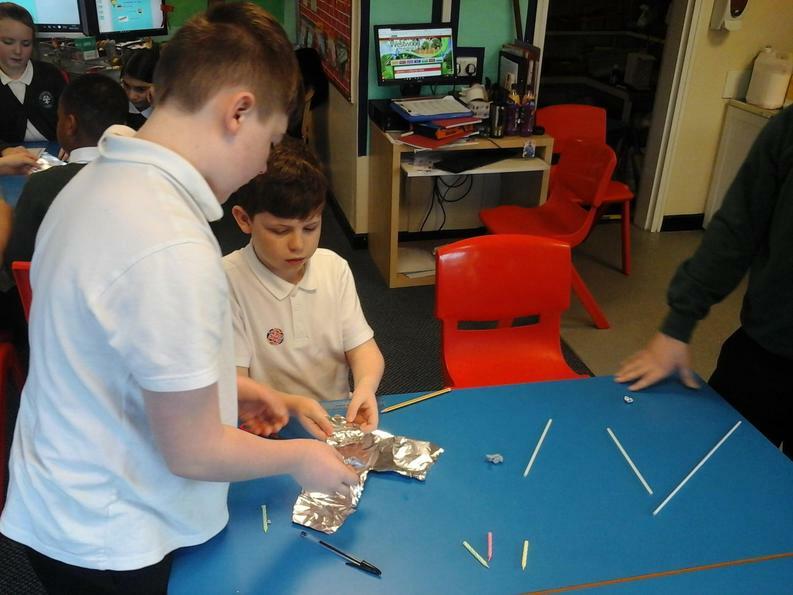 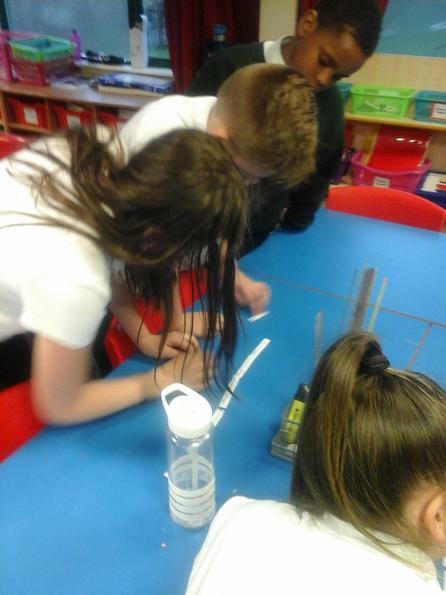 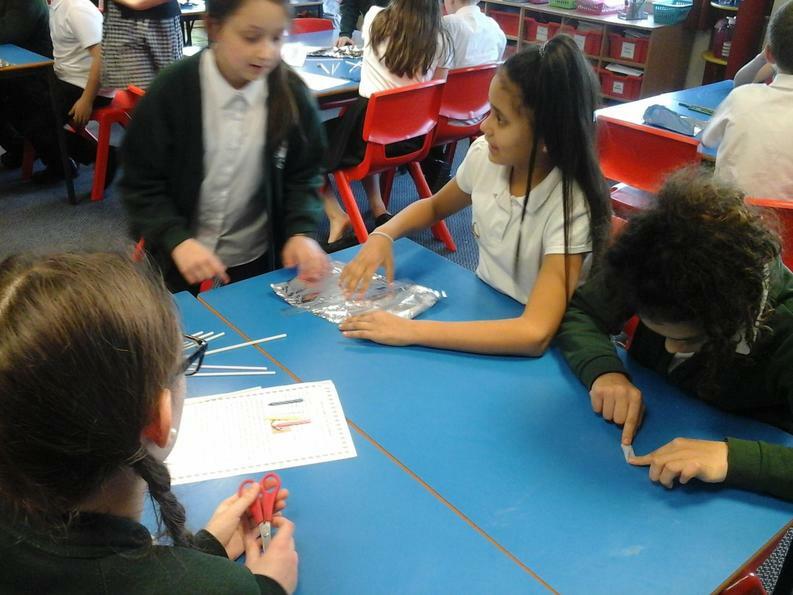 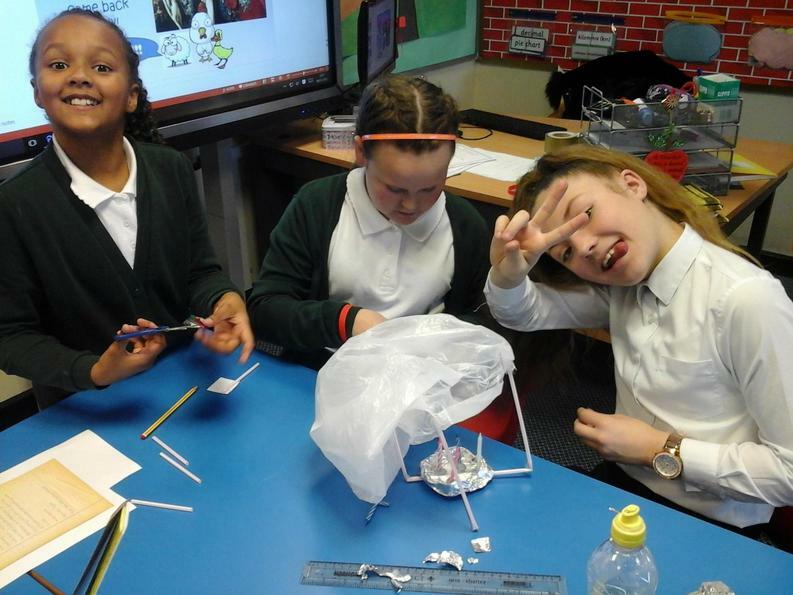 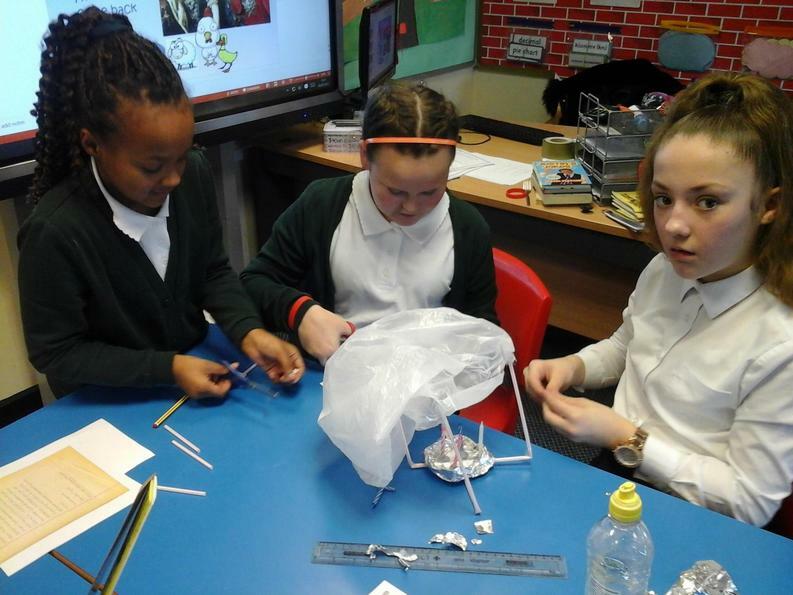 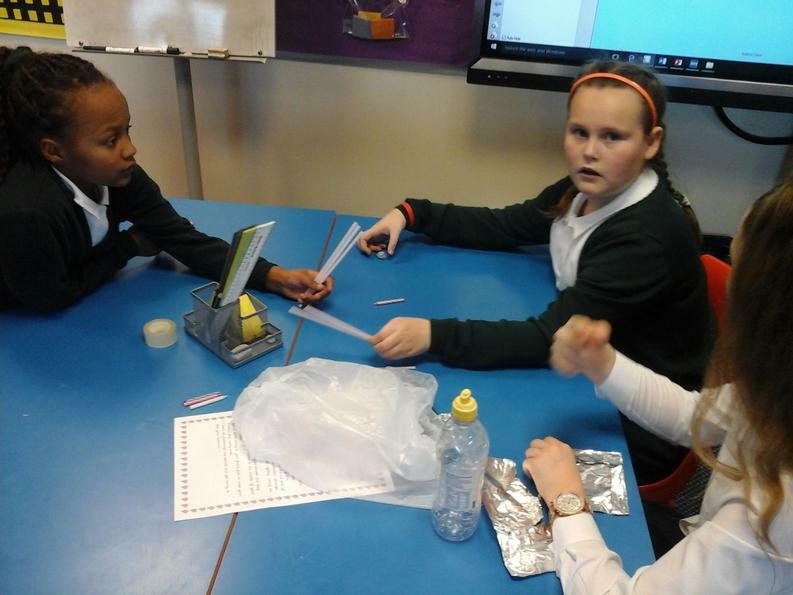 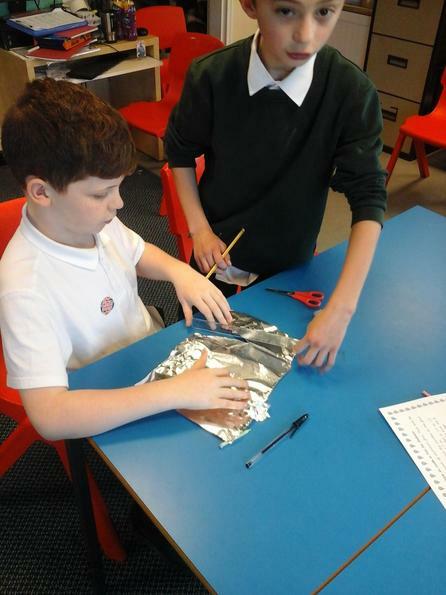 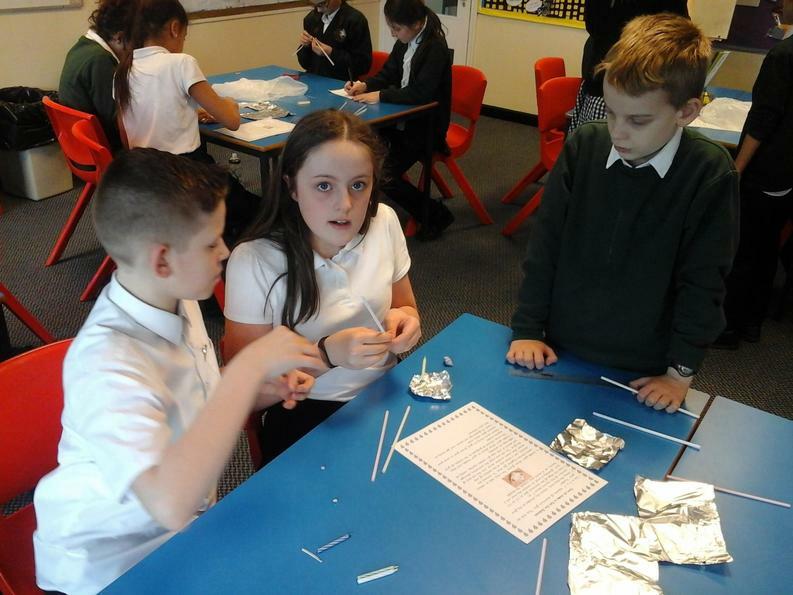 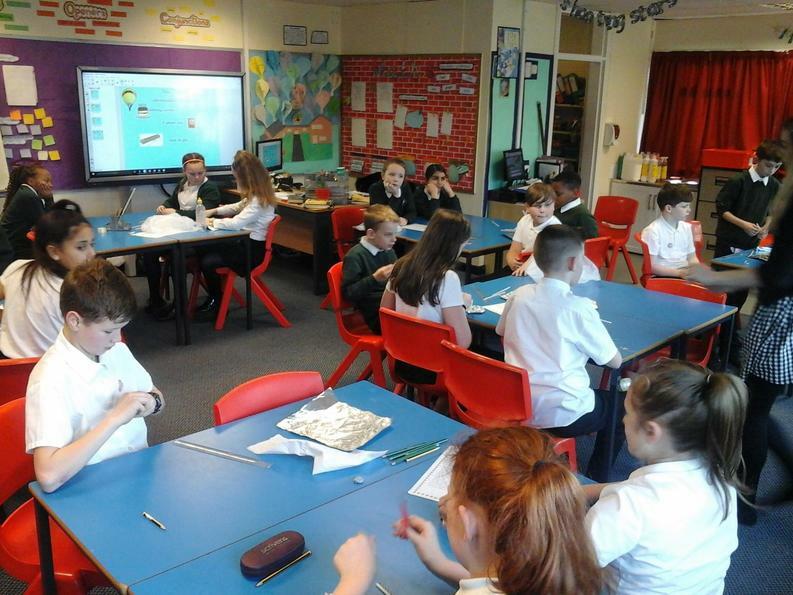 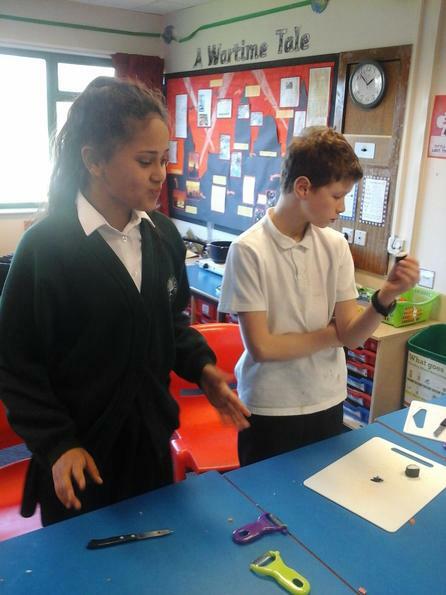 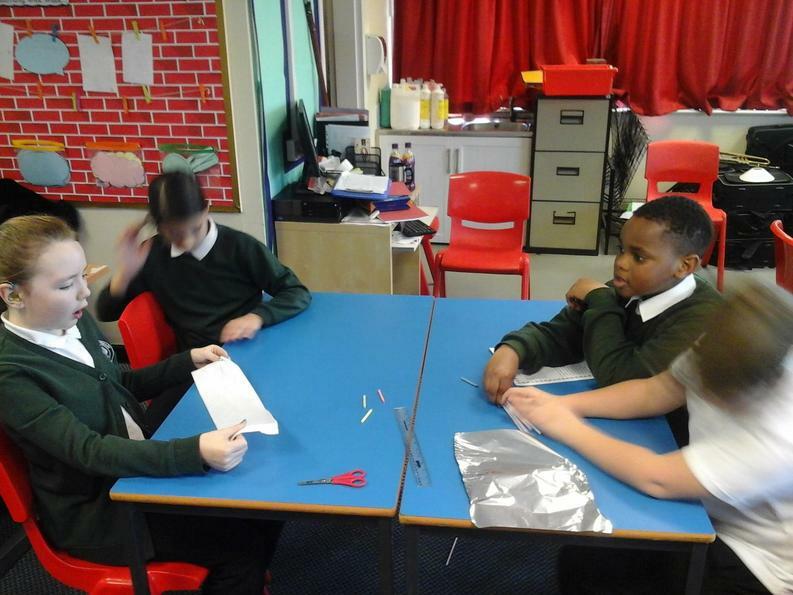 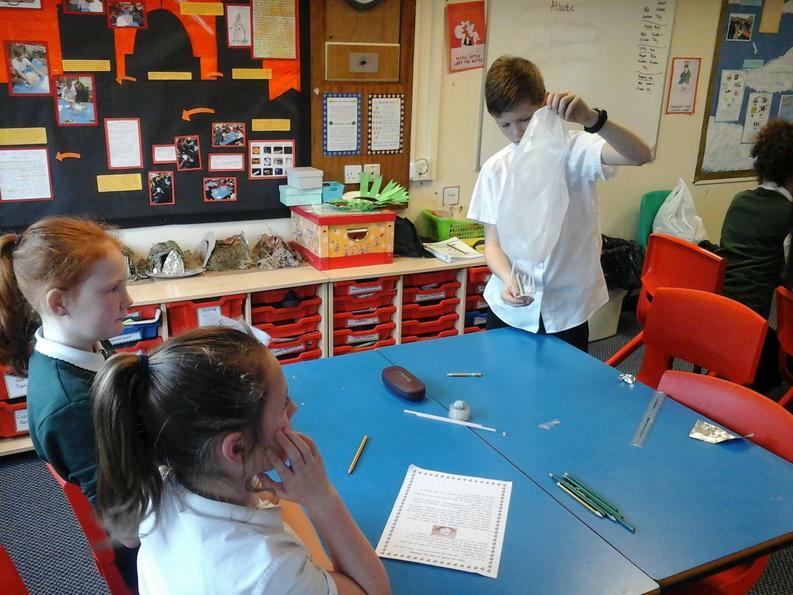 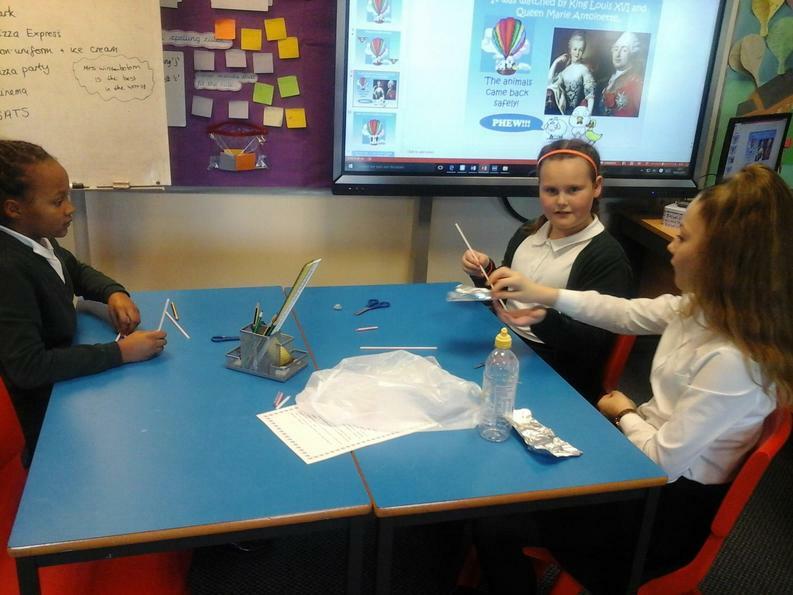 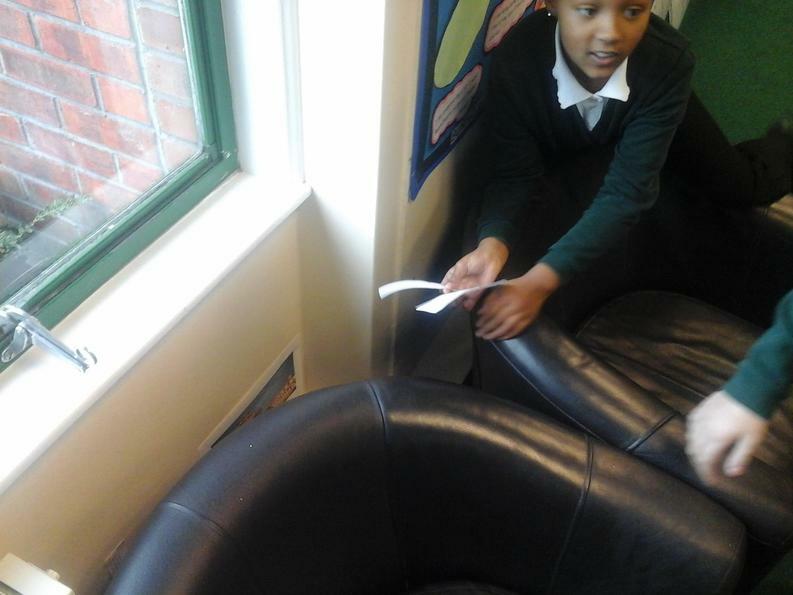 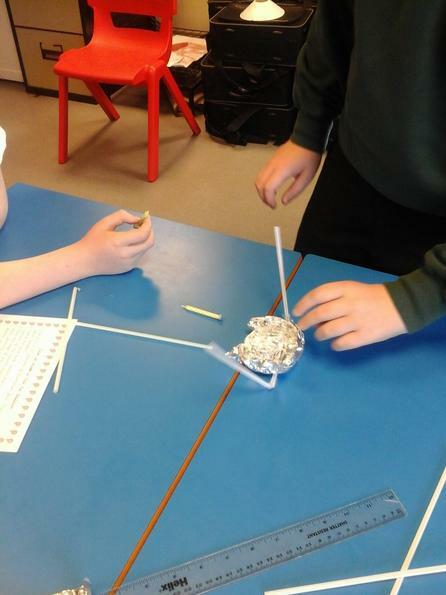 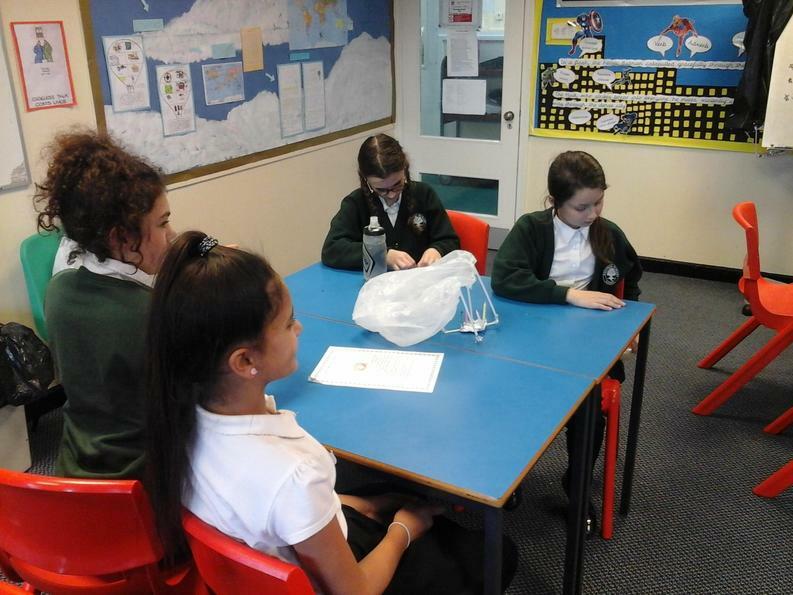 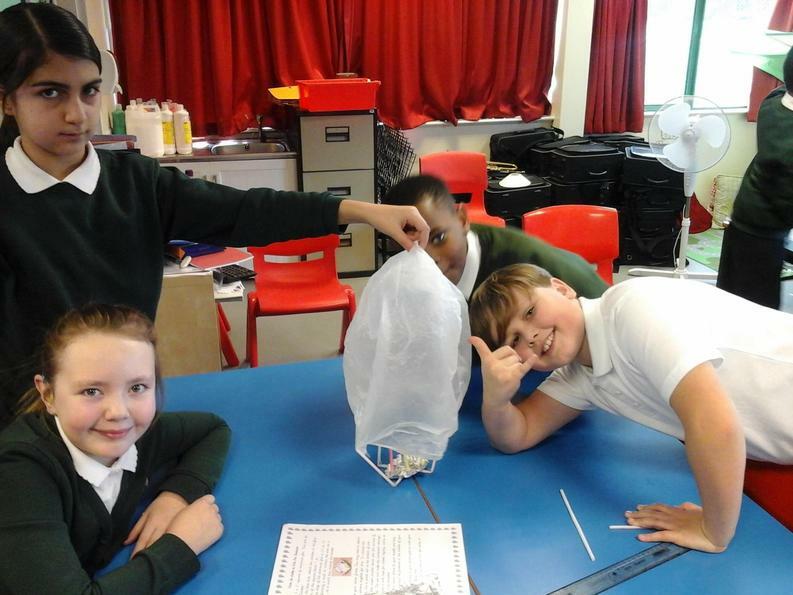 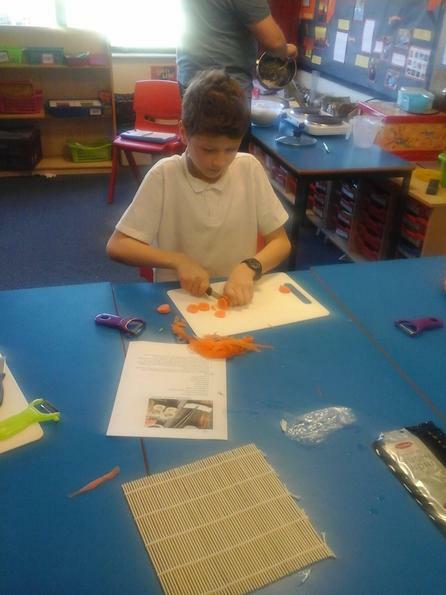 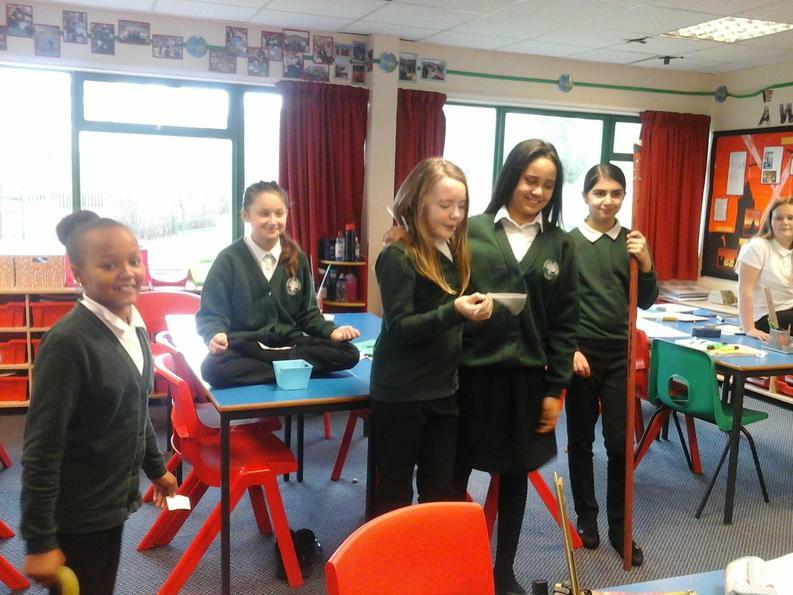 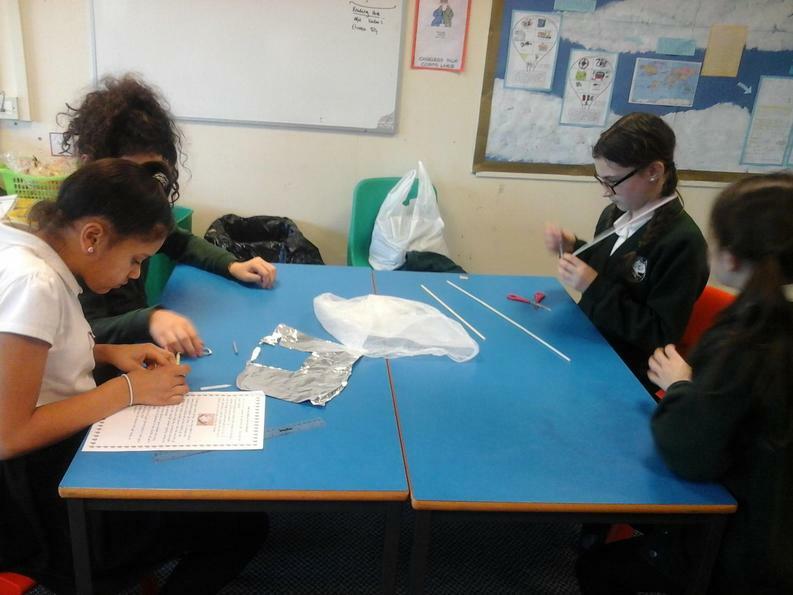 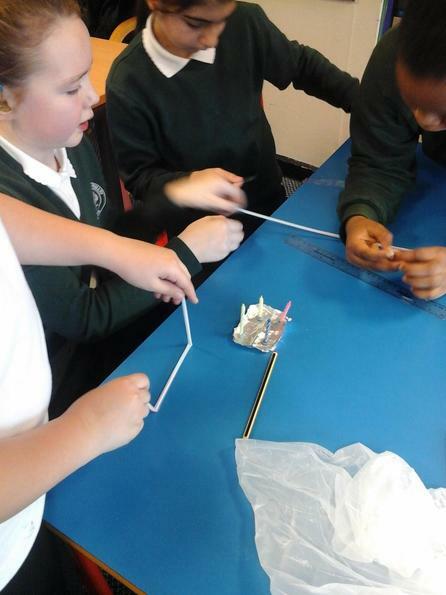 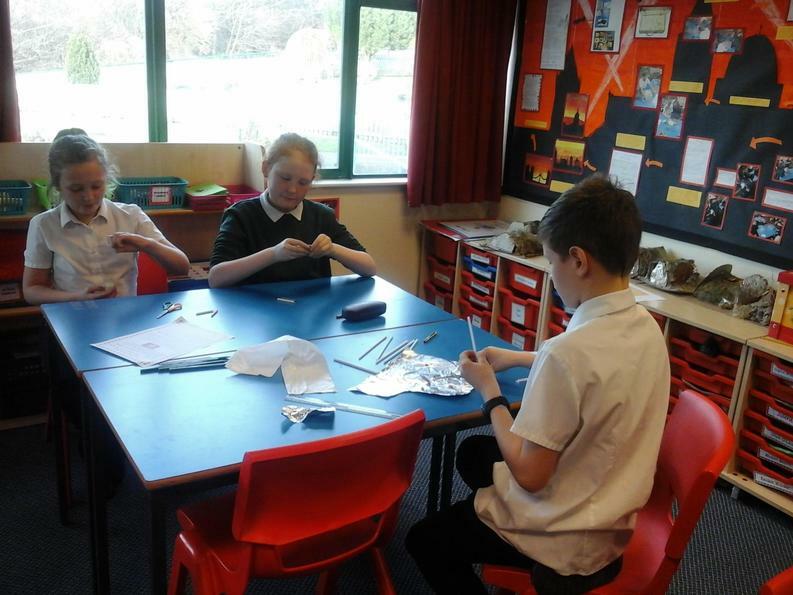 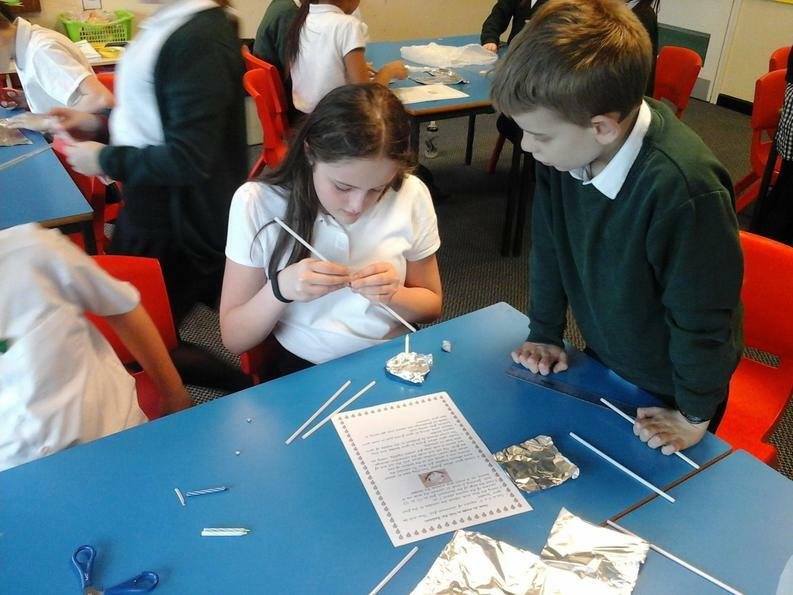 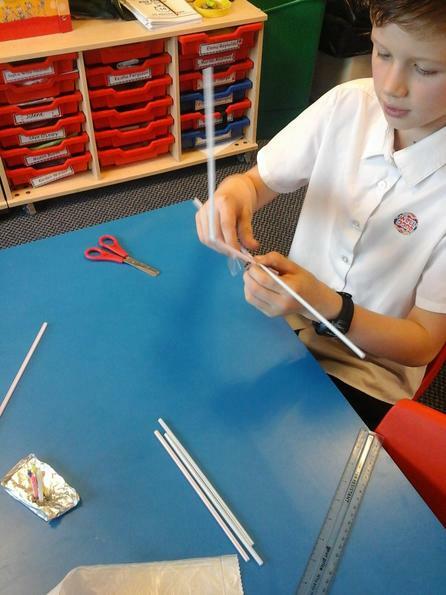 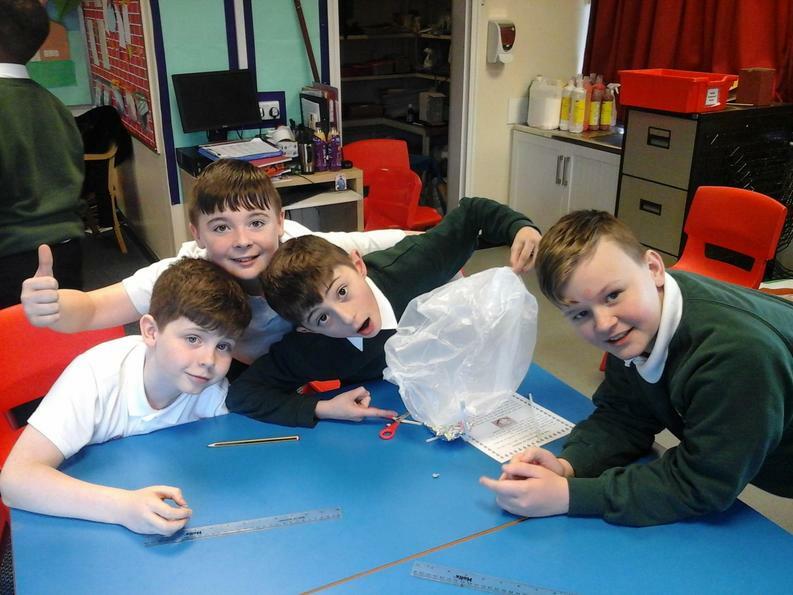 After evaluating the model balloons we made, we started to write instructions which we hoped might help Mr Myles repair his own balloon and therefore allow us to accompany him on the next leg of his journey: Russia. 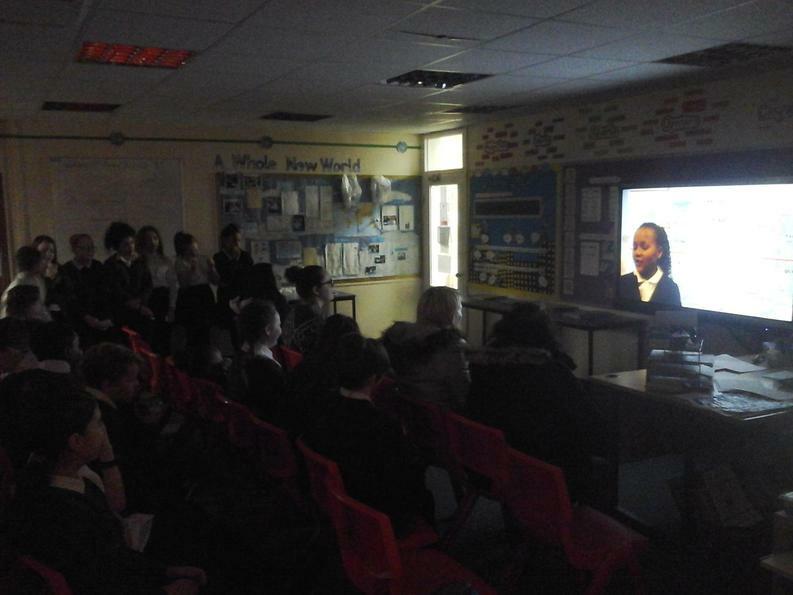 We also looked at some of the places Barnaby Myles had already visited when making his documentaries. 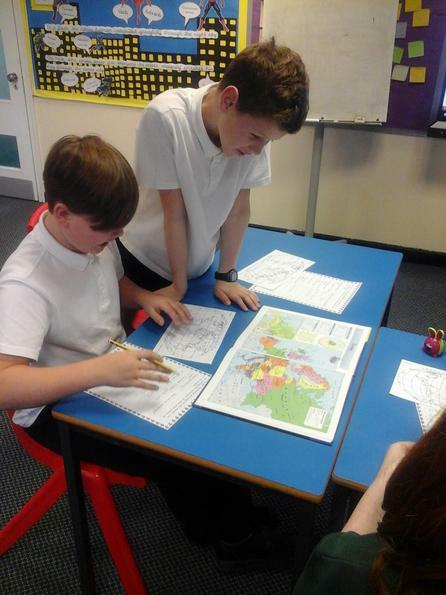 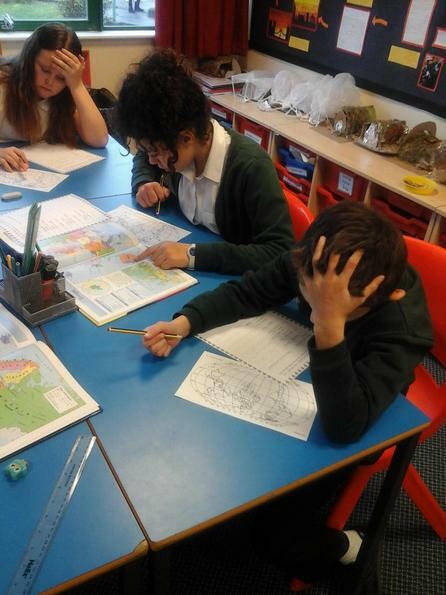 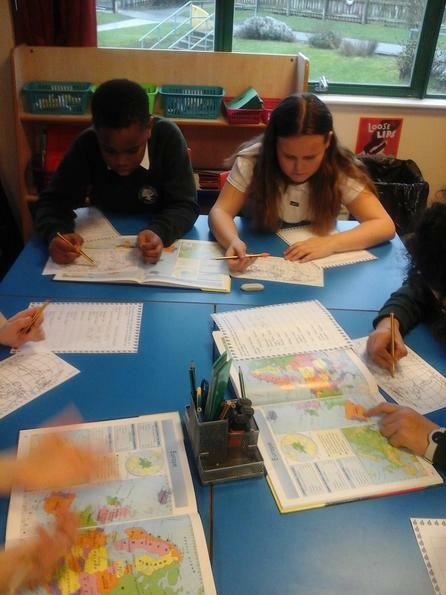 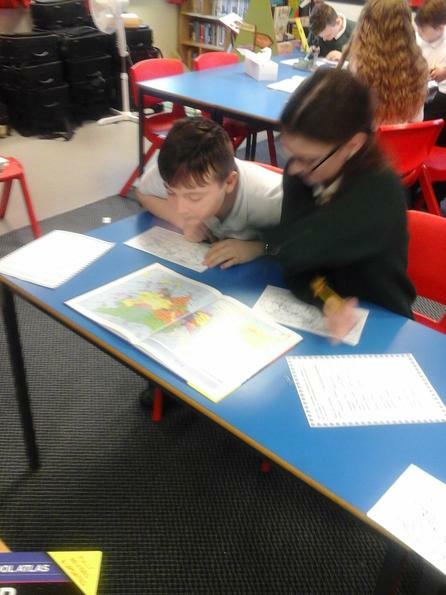 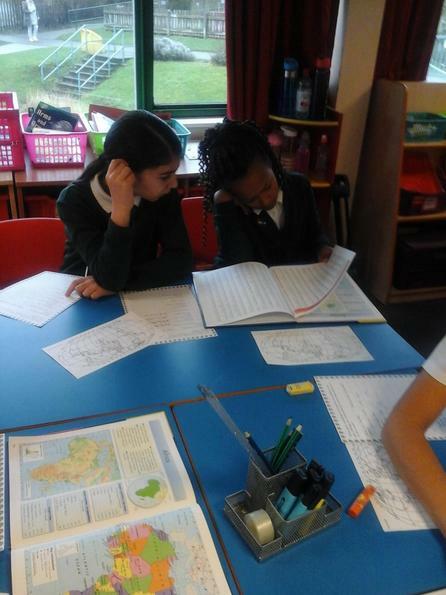 Thinking it might help us on our adventure to Russia, we learned about Longitude and Latitude and, using an atlas, marked the locations of all the places Barnaby had been on our maps. 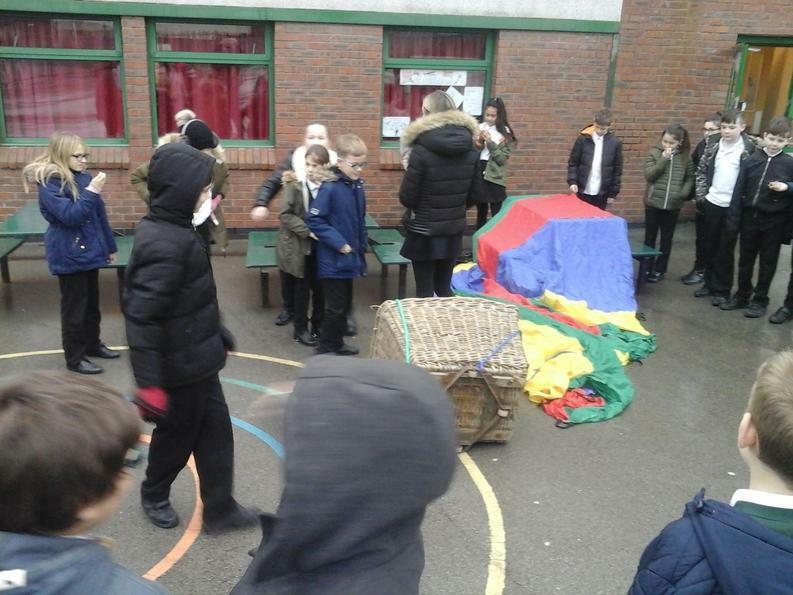 Having helped Barnaby repair his balloon, we were soon accompanying him on the next leg of his round-the-world tour. 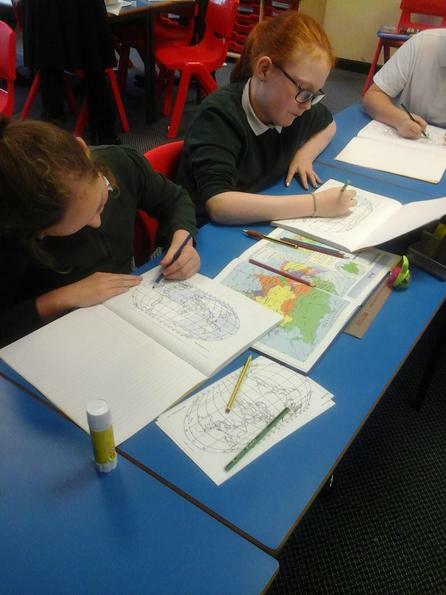 When we finally landed in Moscow, Russia, we headed for Red Square and St Basil's Cathedral where we wrote a setting description and created a fantastic piece of artwork based on the spectacular cathedral. 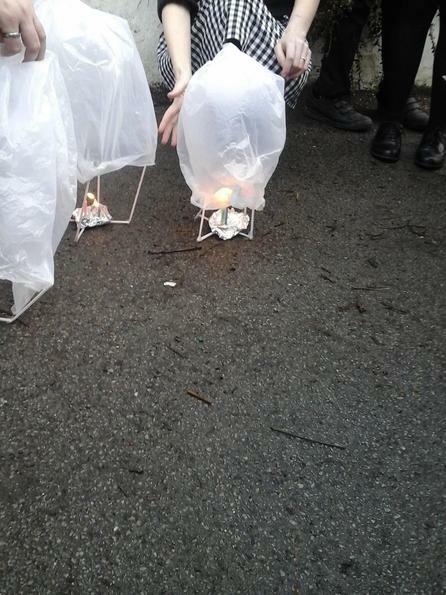 When we were finished in Moscow, we set off towards our next destination: Tokyo, Japan! 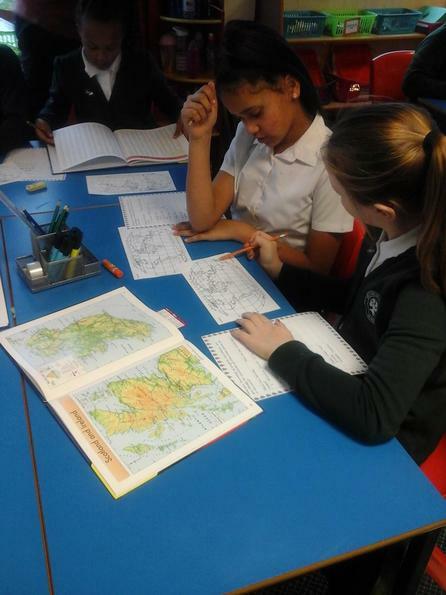 On the way, we flew over the Himalayas and so took the time to learn a few facts about the spectacular place. 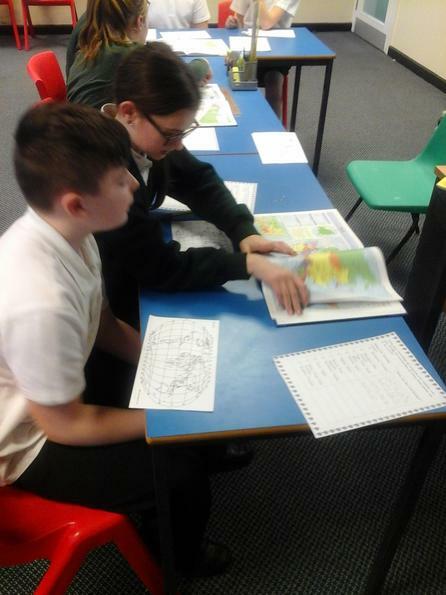 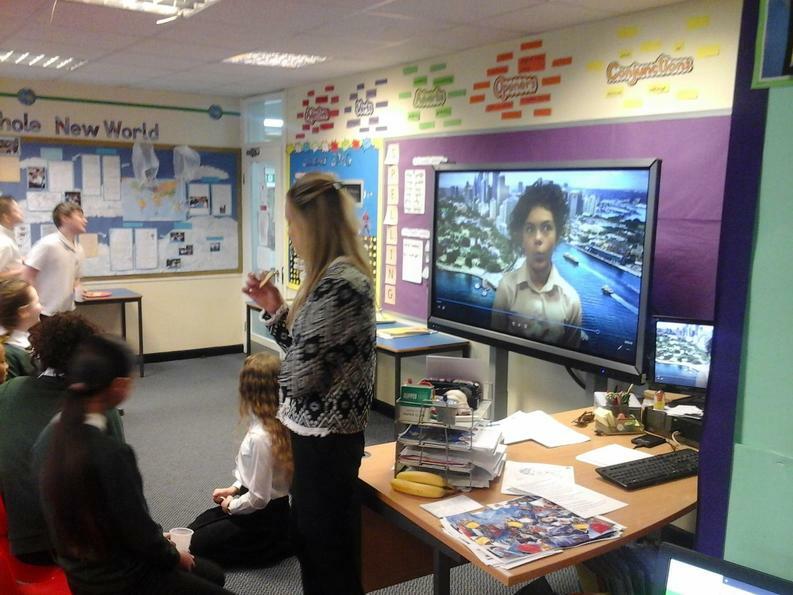 To help us remember the facts about the Himalayas, we used a Burn 2 Learn. 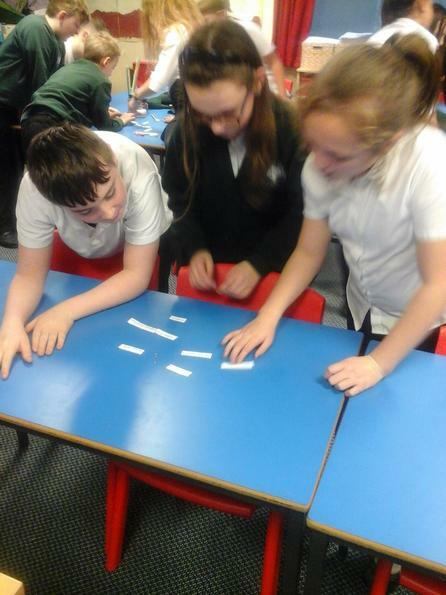 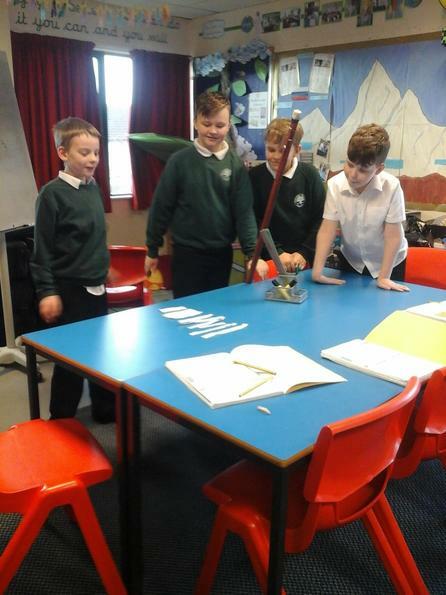 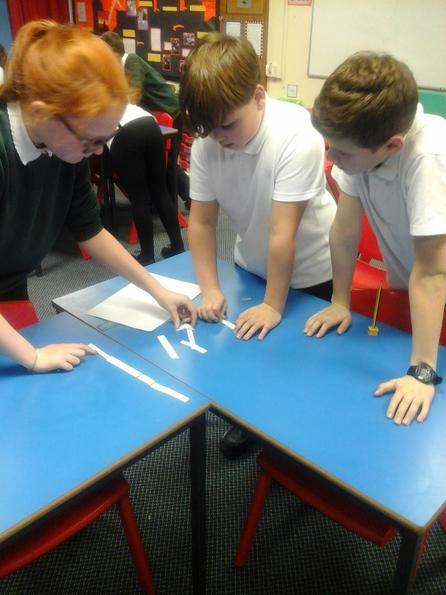 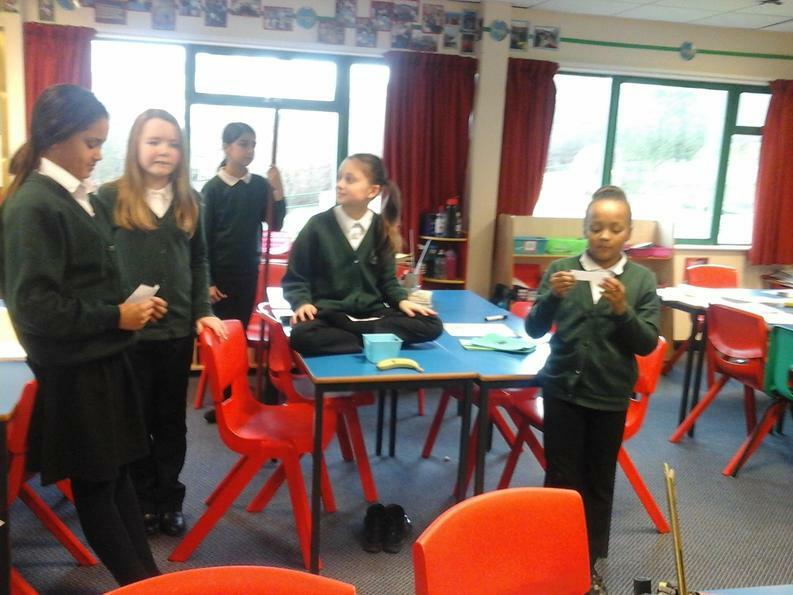 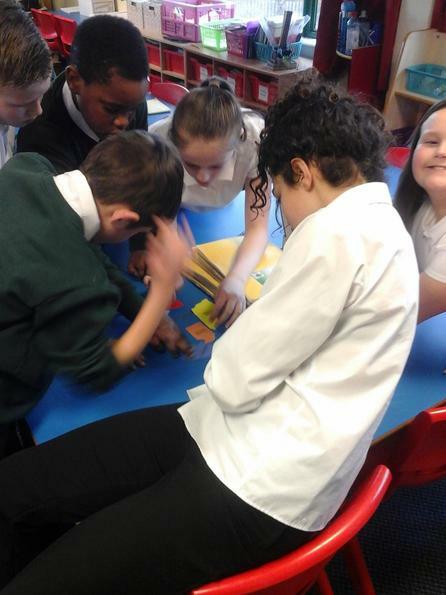 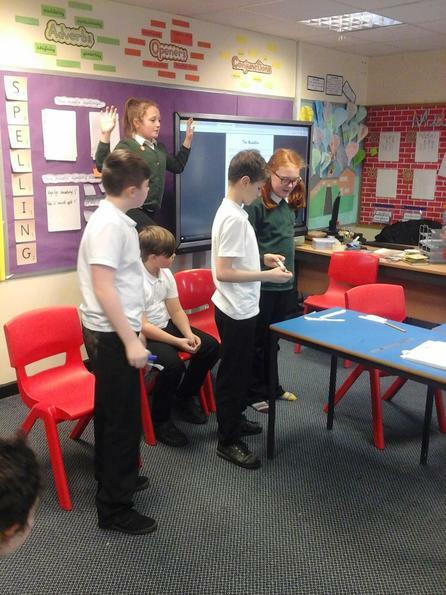 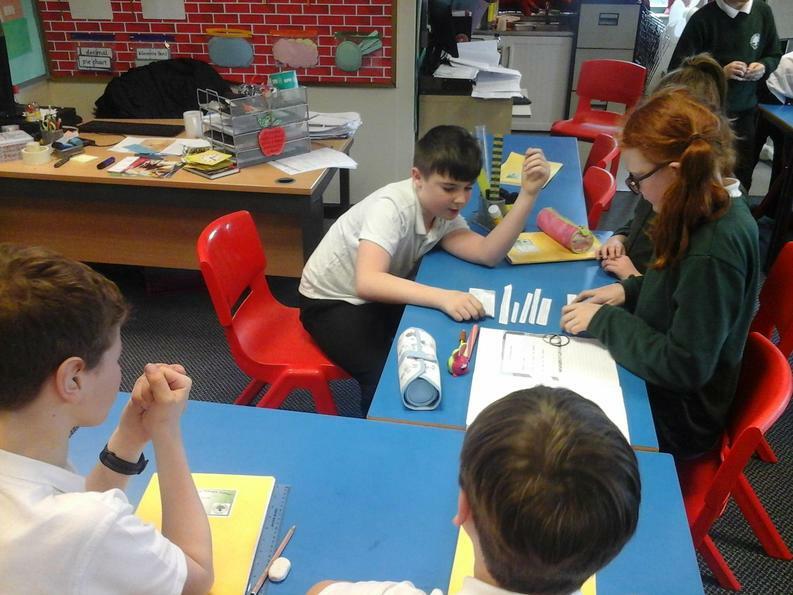 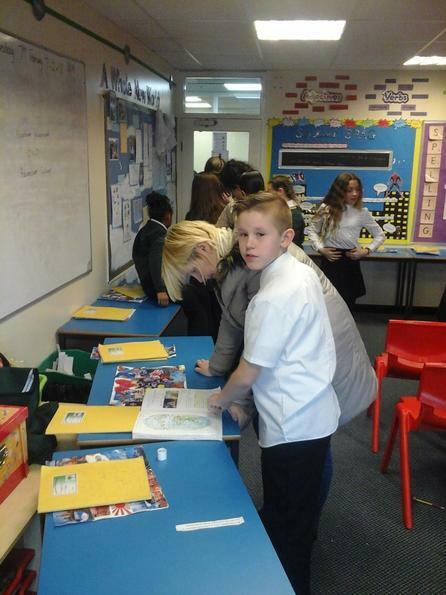 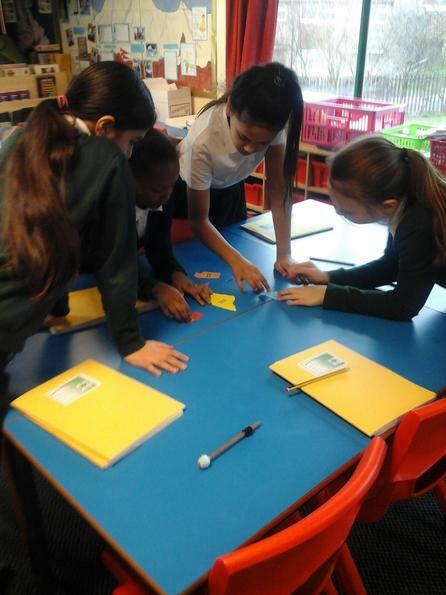 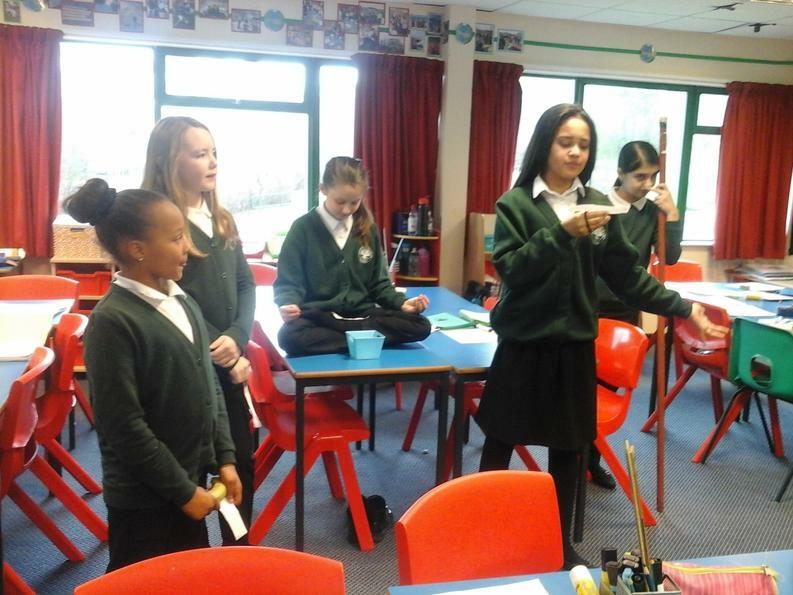 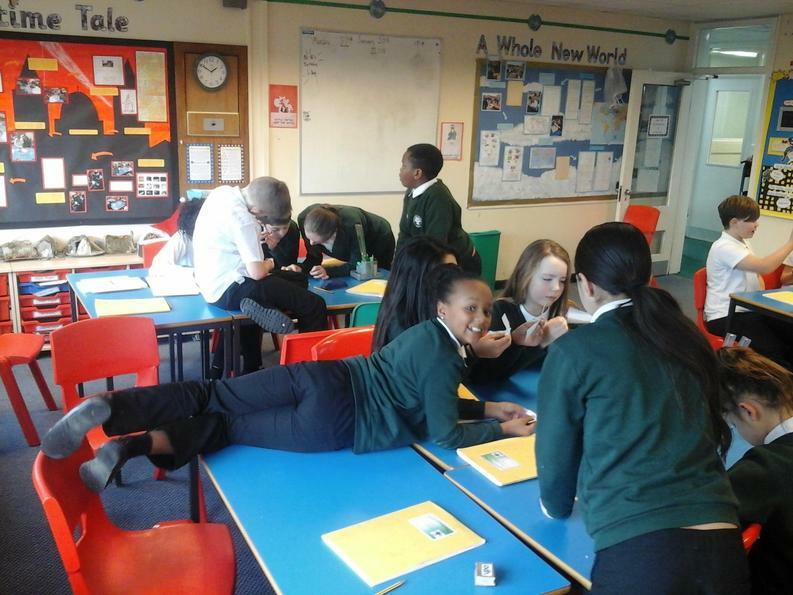 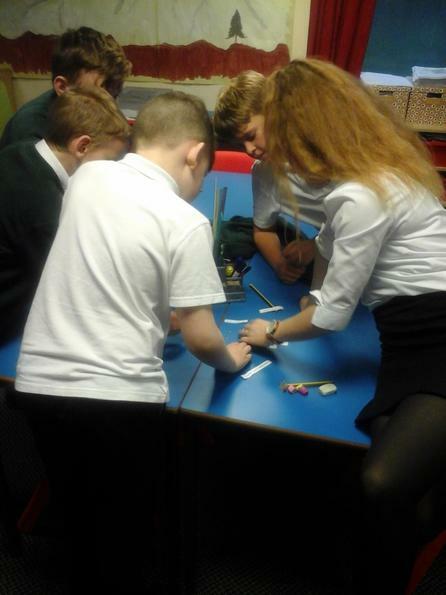 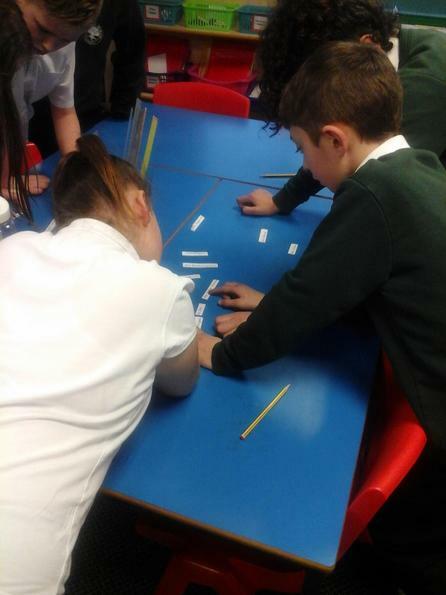 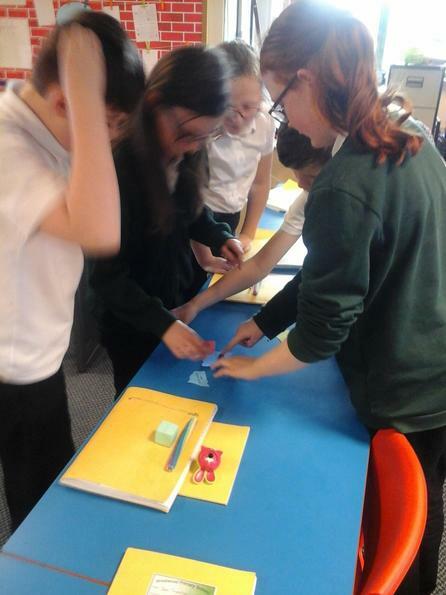 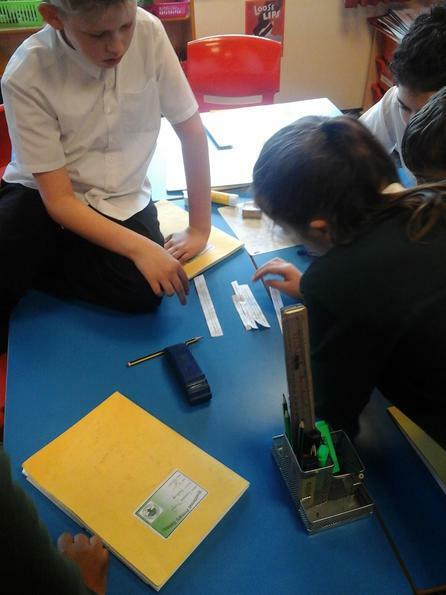 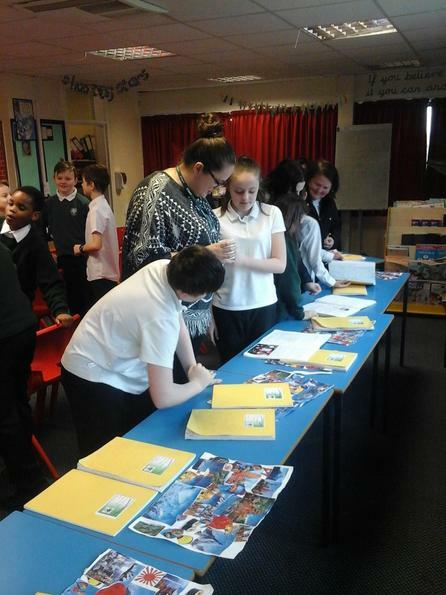 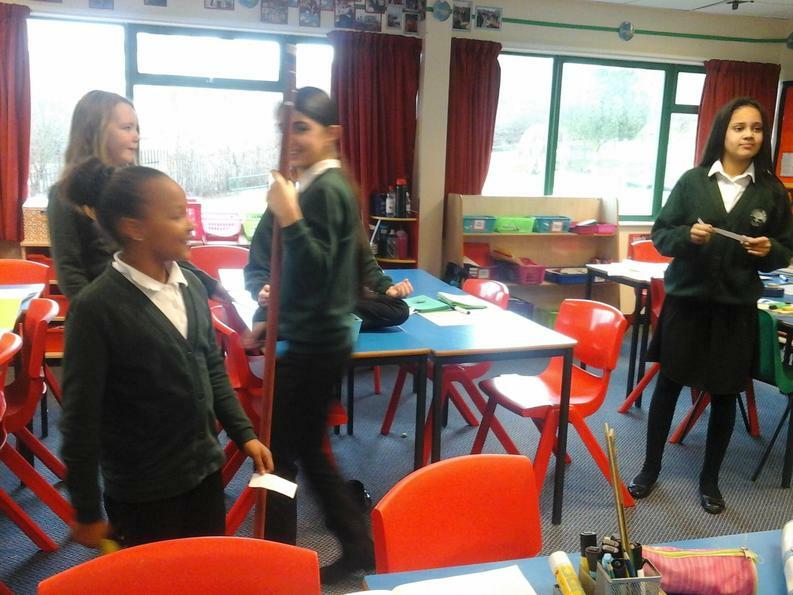 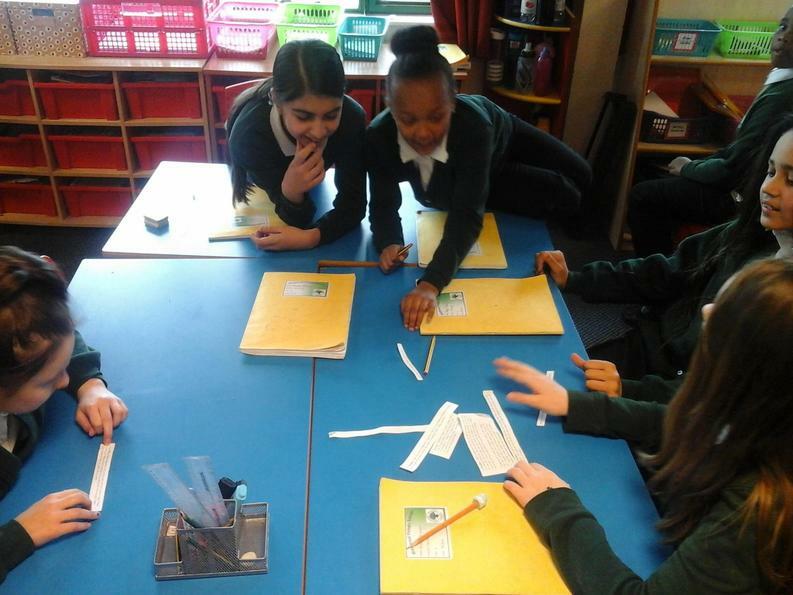 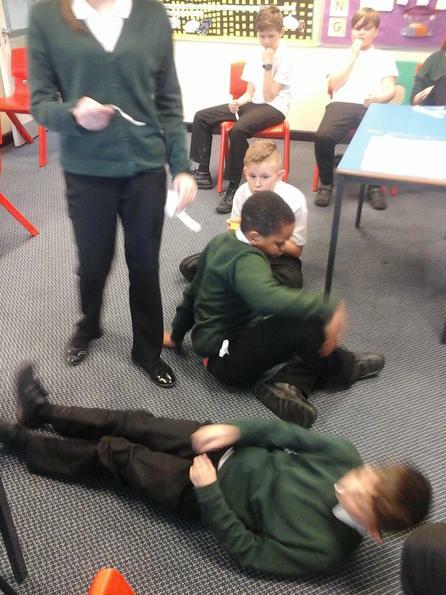 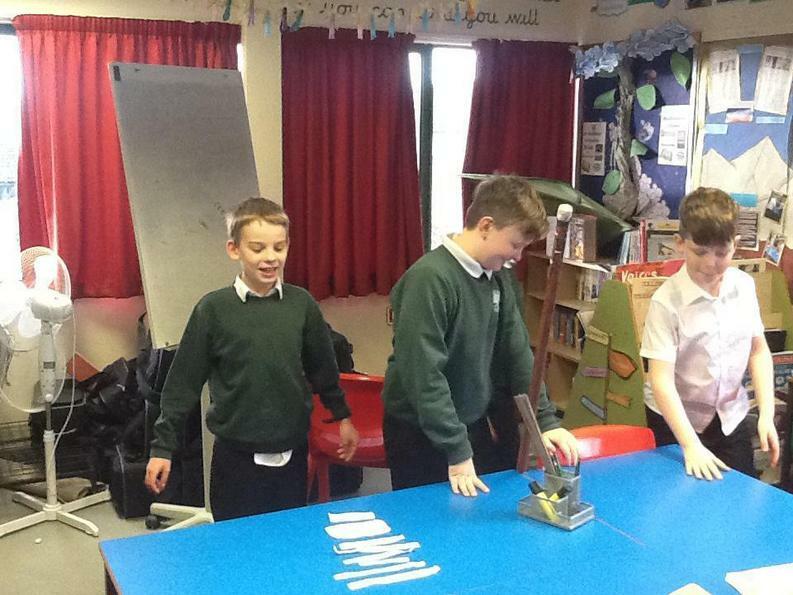 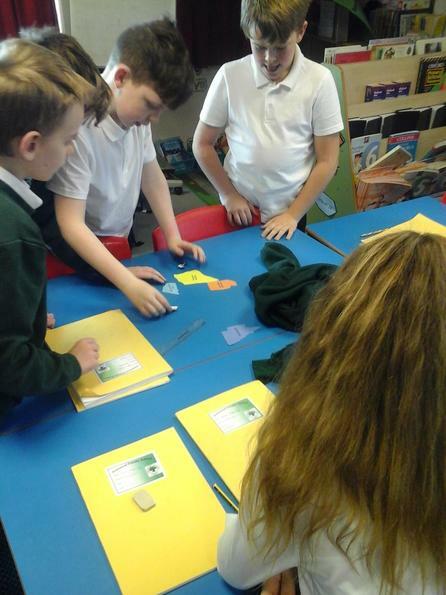 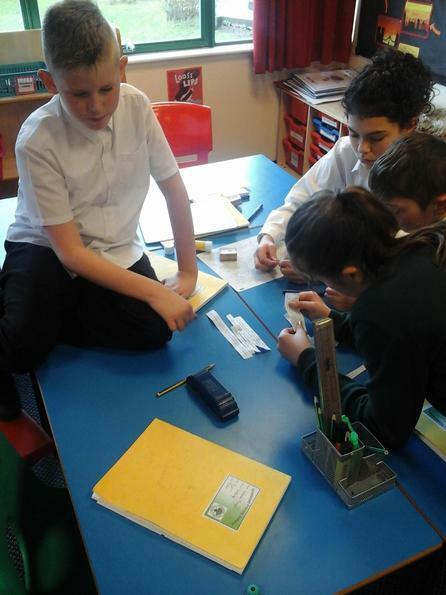 Each group was given a jumbled up fact and had so sort the words back into the correct order. 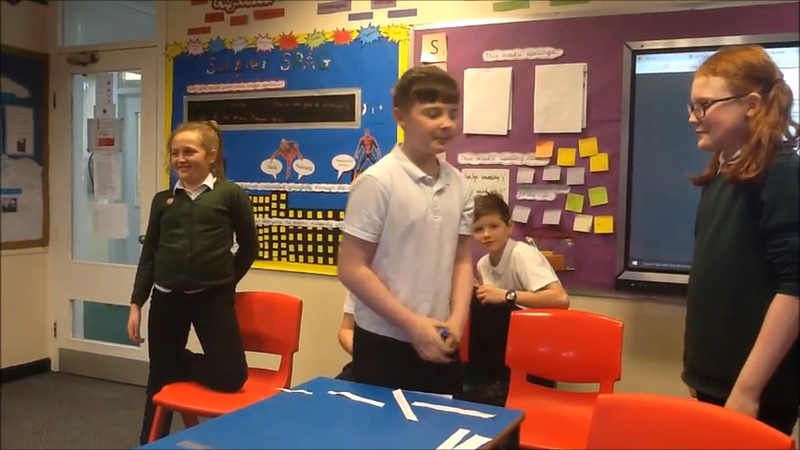 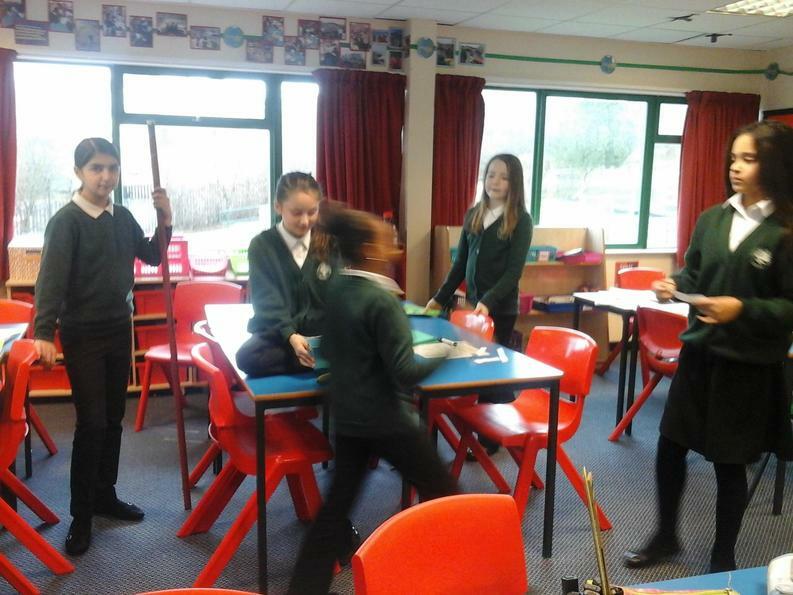 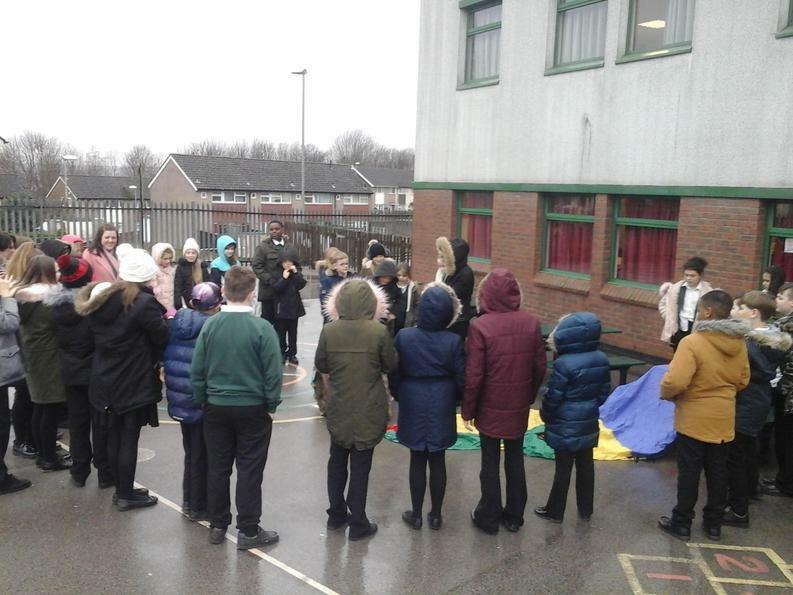 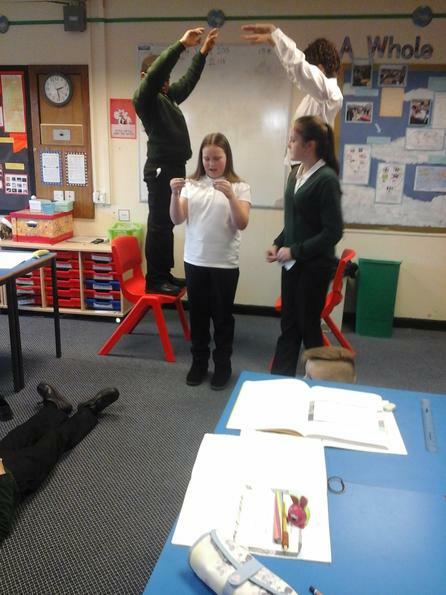 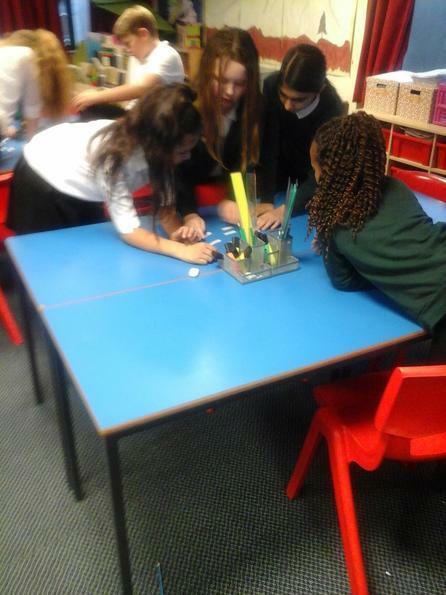 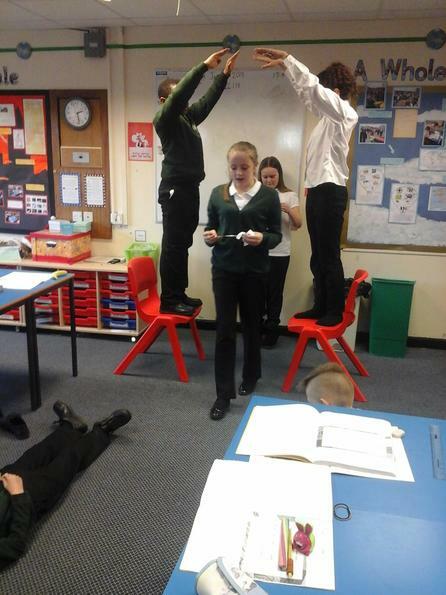 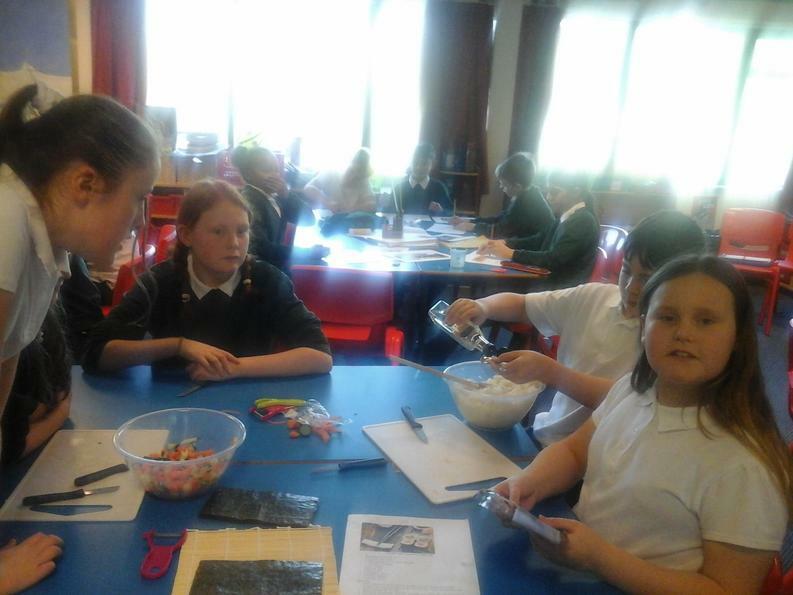 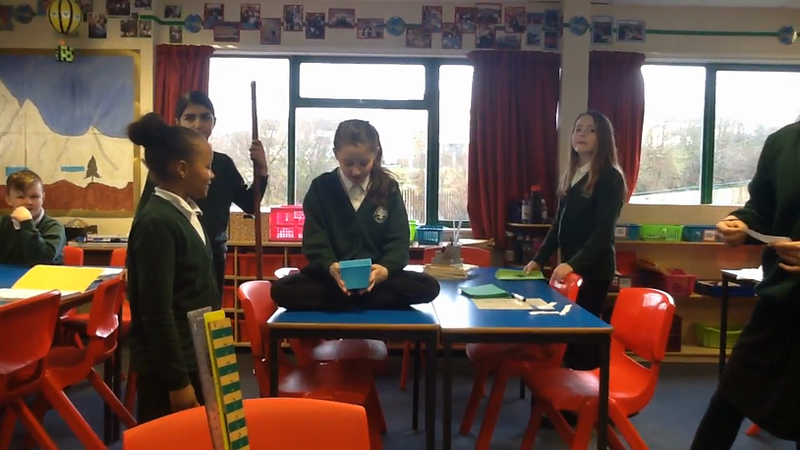 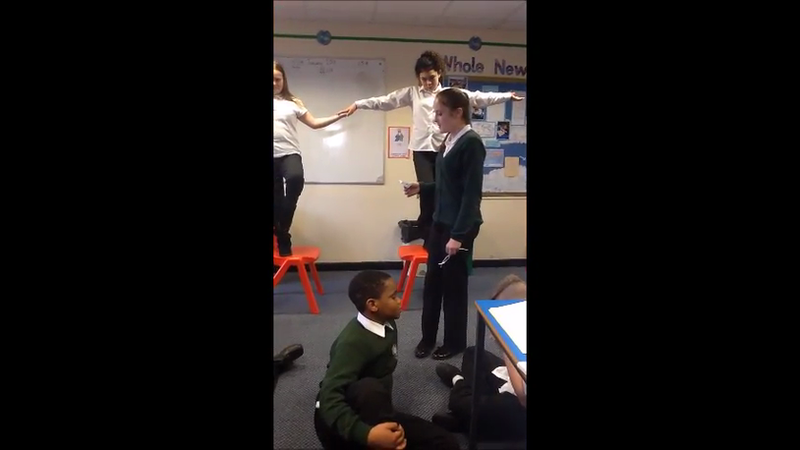 The task was made more challenging by having to stop whenever the music played and sing along to the song we have been learning this half term: A Whole New World from Aladdin. 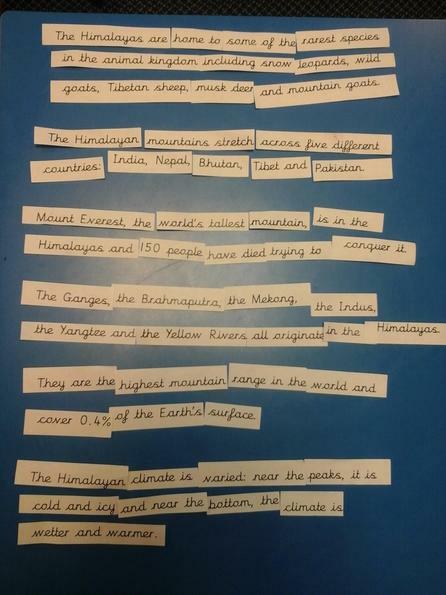 To make these facts easier to present in the next episode, we wrote them into a short fact file about the colossal mountain range. 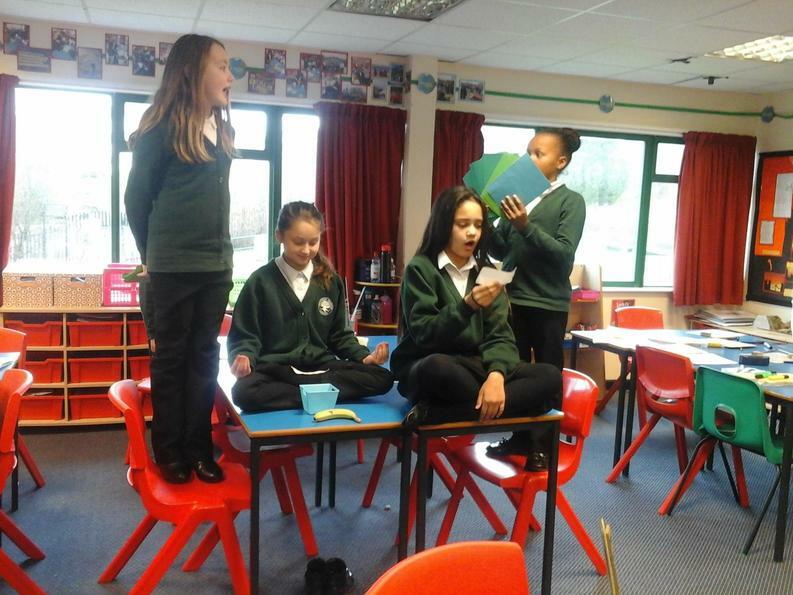 Inspired by the beauty of the Himalayas, we decided to stop and wrote some poetry based on the mountains. 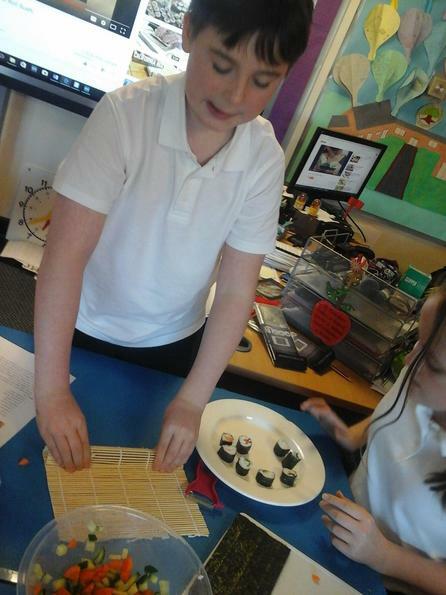 As our next stop was to be Tokyo we decided we would try our hand at a Japanese style of poetry: Haiku. 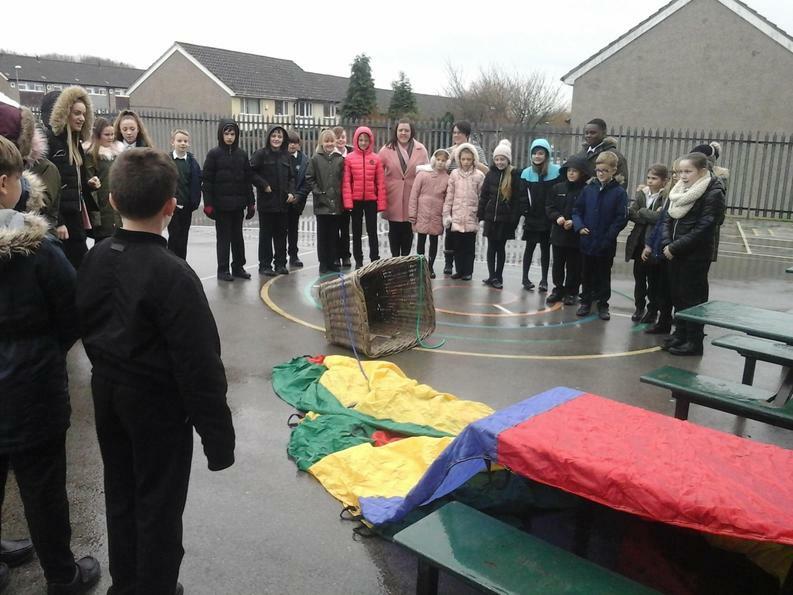 As we take off, the strong winds blow us off course. 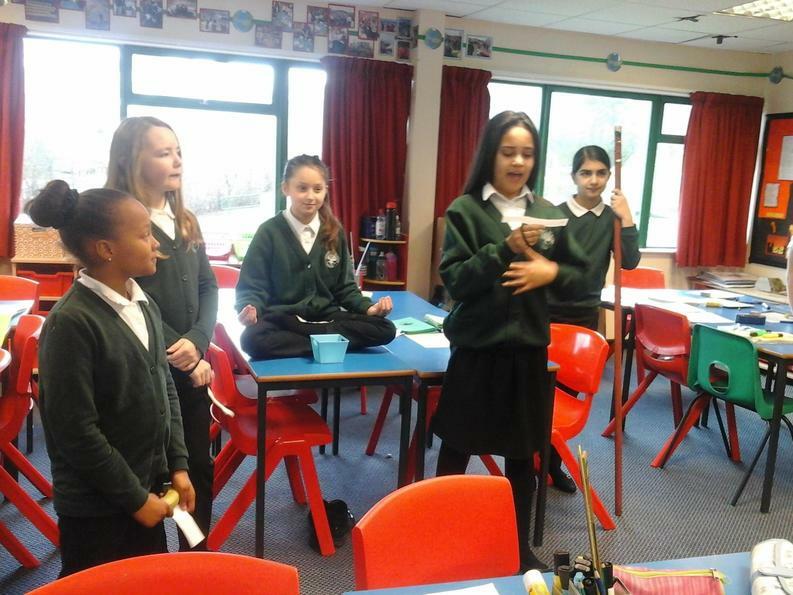 Instead of Tokyo, we end up in nearby Nepal and decide to use the opportunity to learn about the local religion: Buddhism. 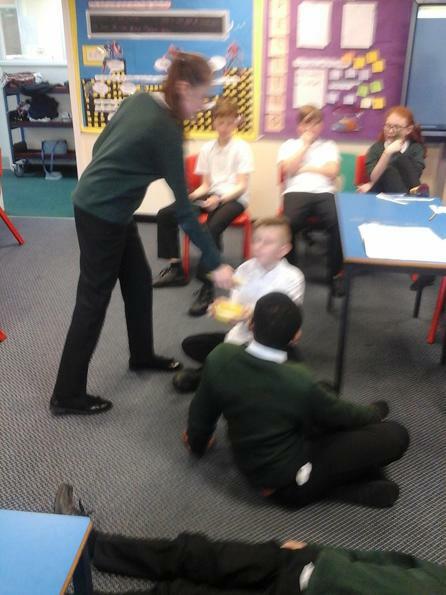 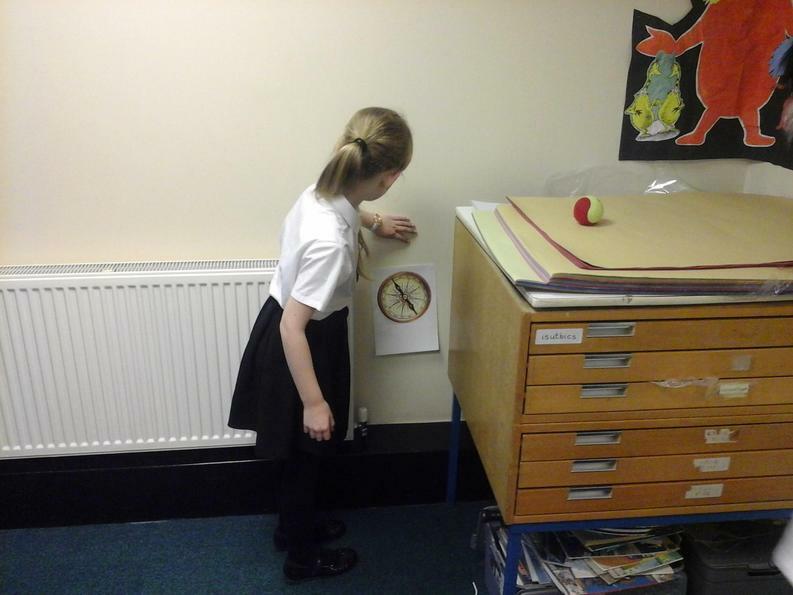 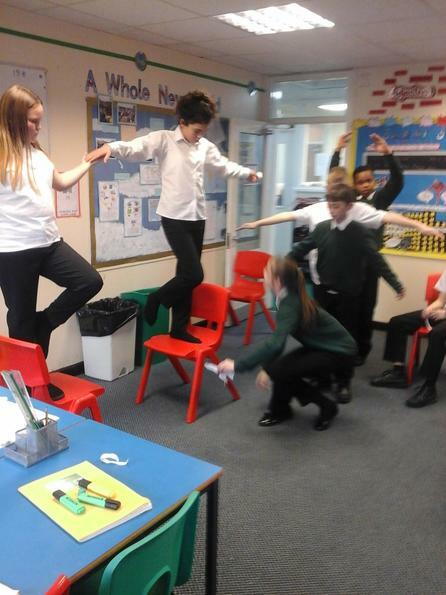 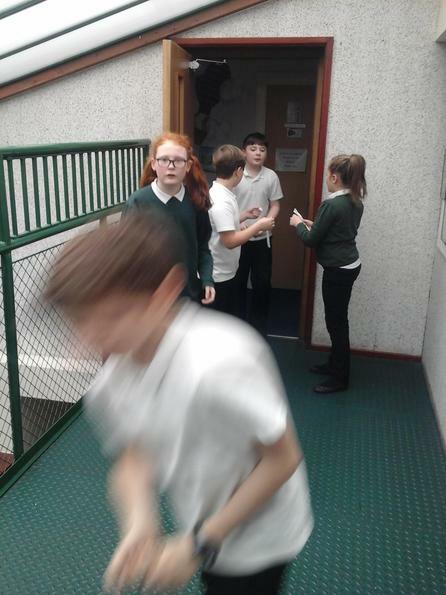 We began with a Burn 2 Learn to help us learn about Buddhism. 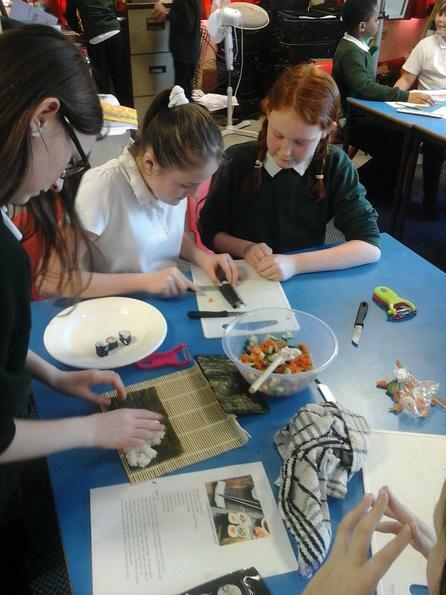 The story of the Buddha was cut into sections and hidden around school near a picture of one of the Buddhist temples. 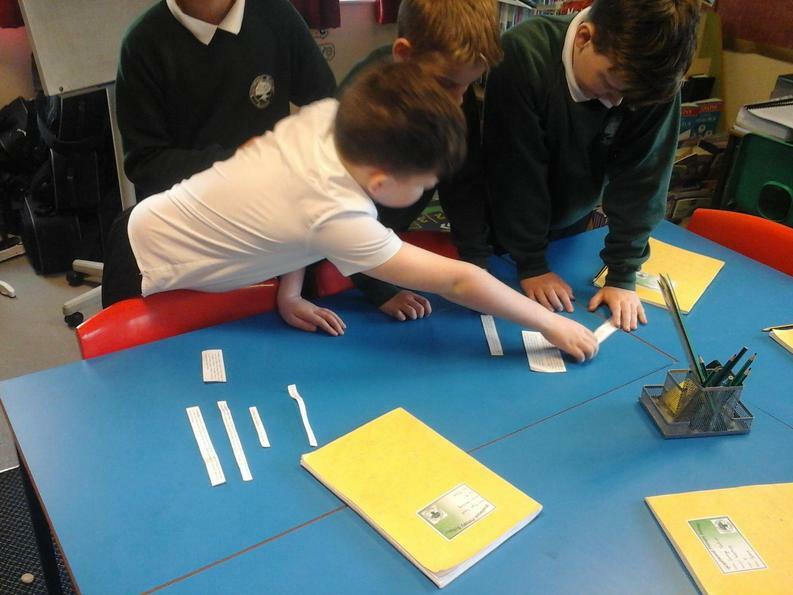 We had to find the snippet of story and organize back into the right order - all in under 5 minutes! 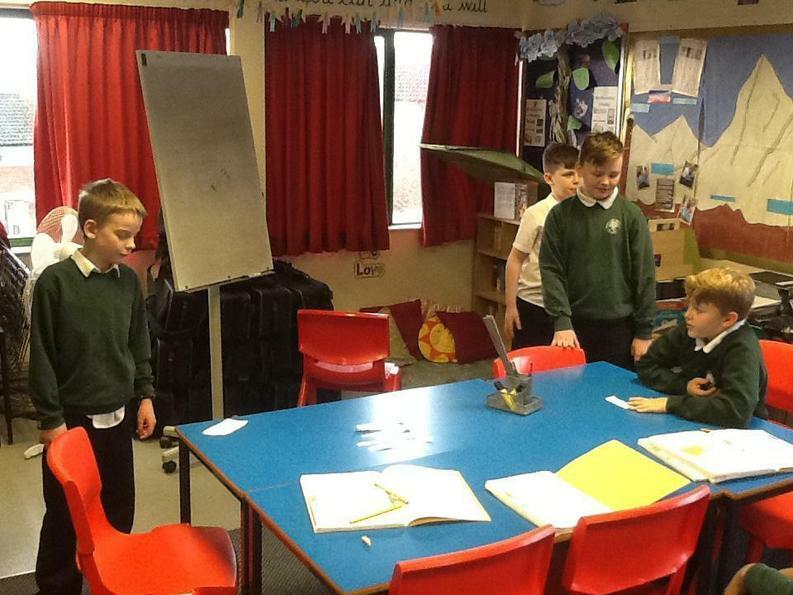 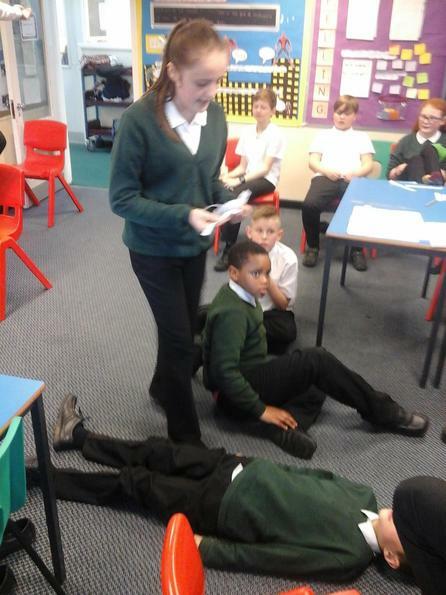 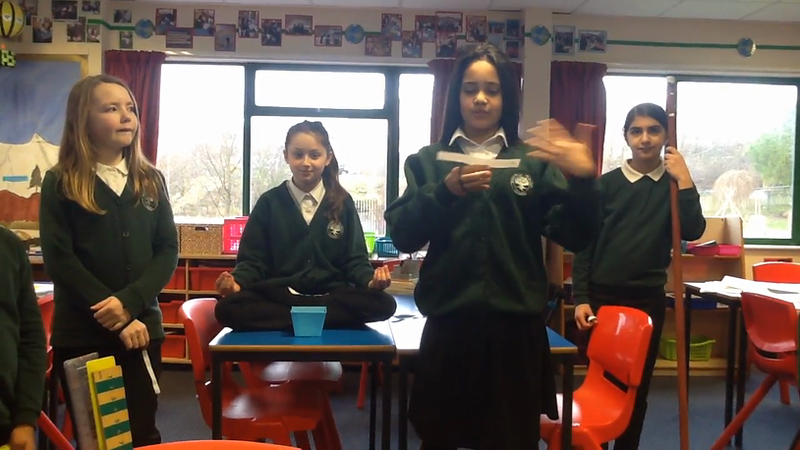 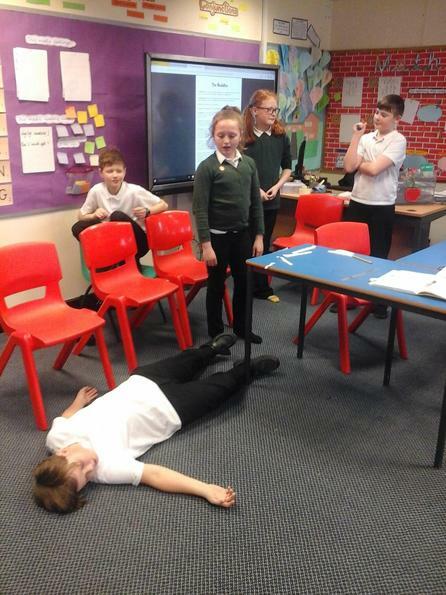 In order to make the Story of Buddha clear for the shows audience, we decided to retell the story using the many writing techniques we have learned in school. 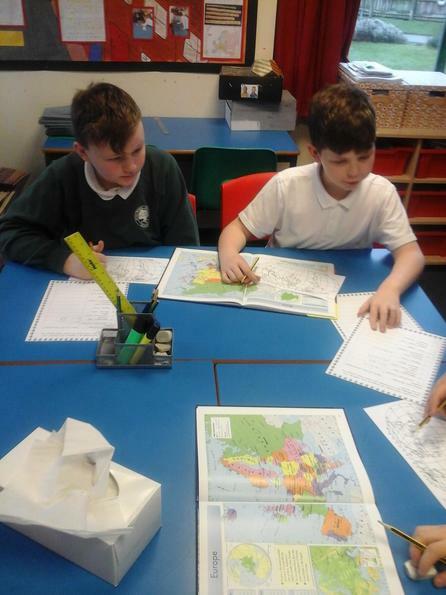 Having gathered much information about both the Himalayas and Buddhism, we were ready to record the next episode of A Whole New World! 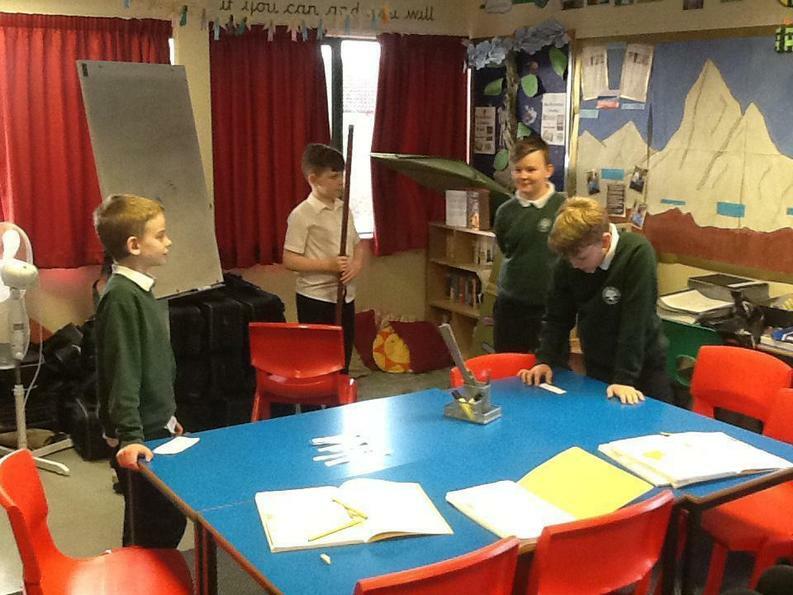 After recording we were ready to set out once again. 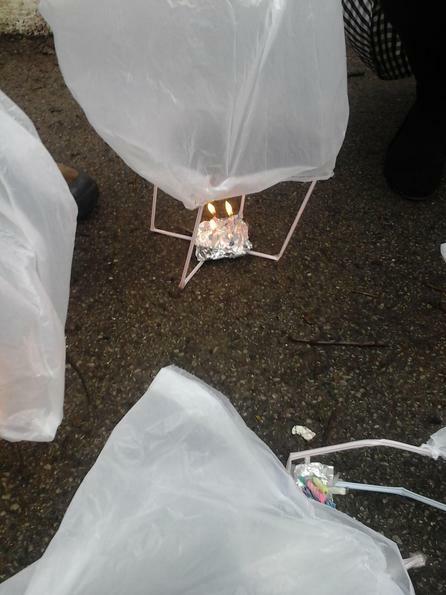 We crowded into the balloon and drifted east on the wind until we arrived in Tokyo, Japan. 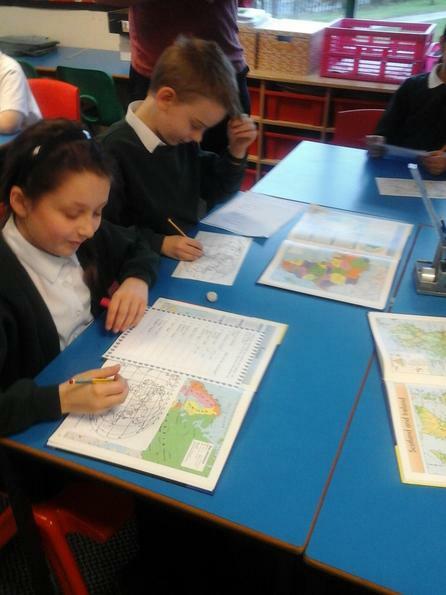 Having been away from home for several weeks, some of us were beginning to feel a little homesick so while in Tokyo we stopped to write a postcard to sent home to our worried families. 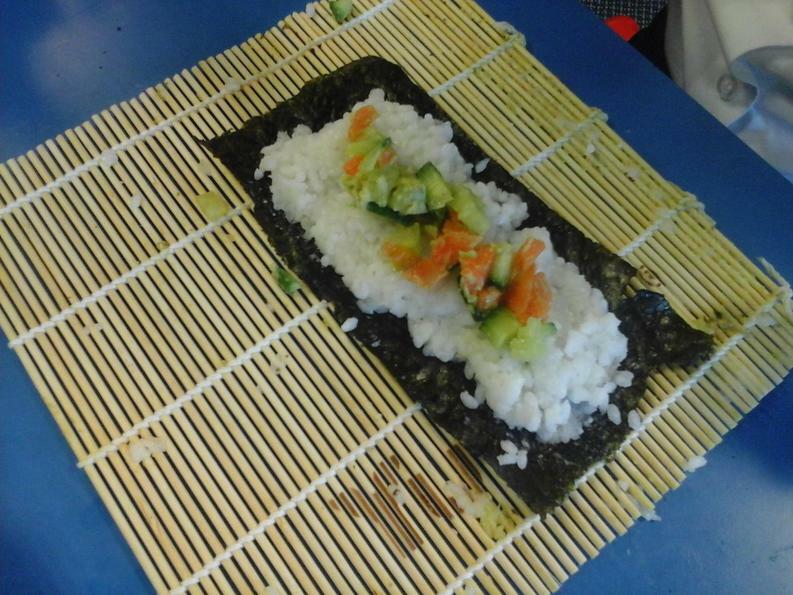 While in Tokyo, we decided to try some of the local cuisine - Sushi. 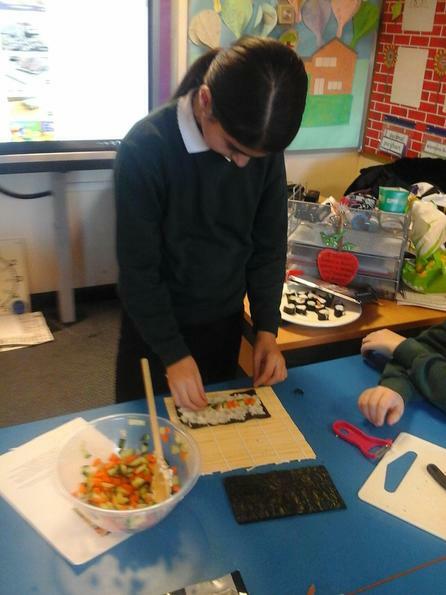 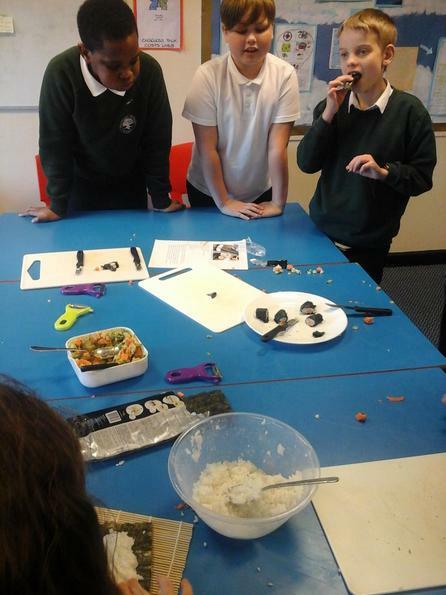 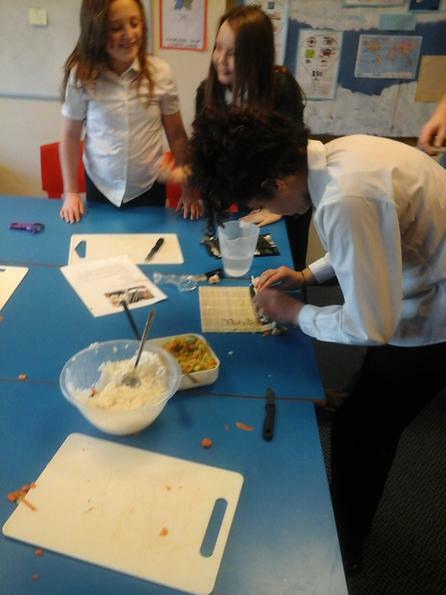 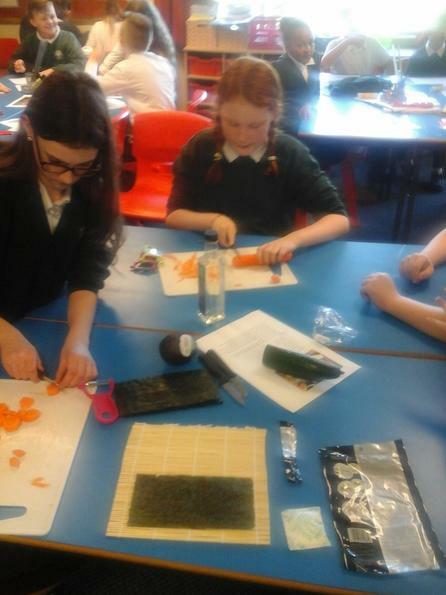 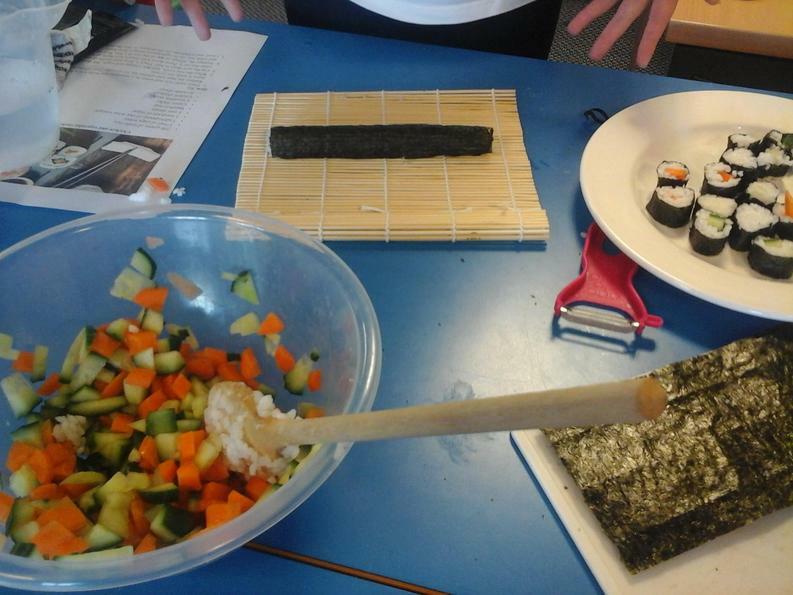 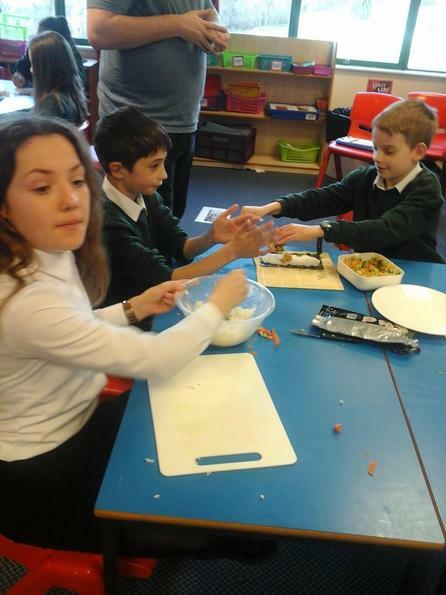 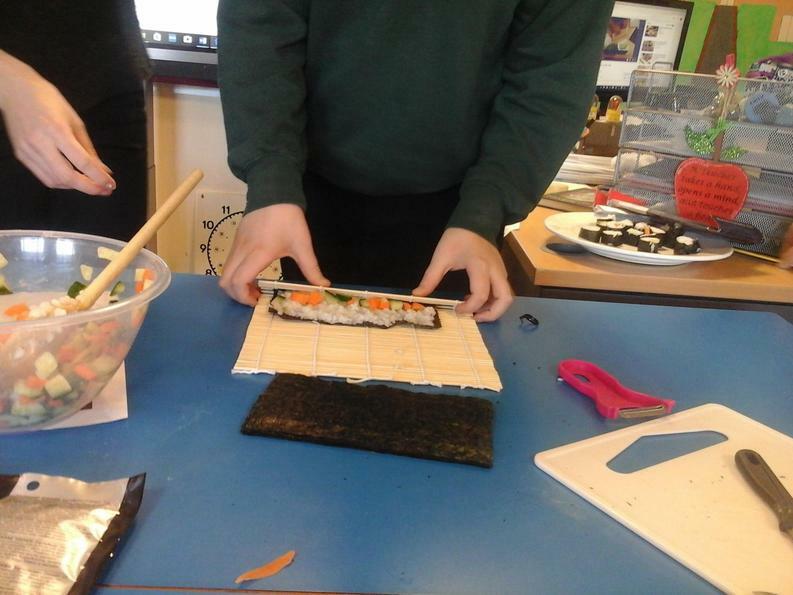 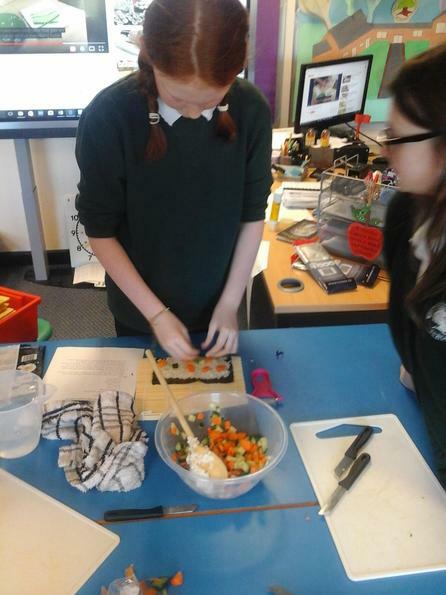 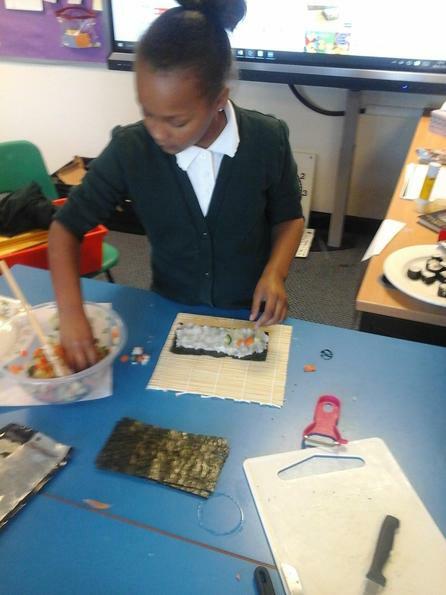 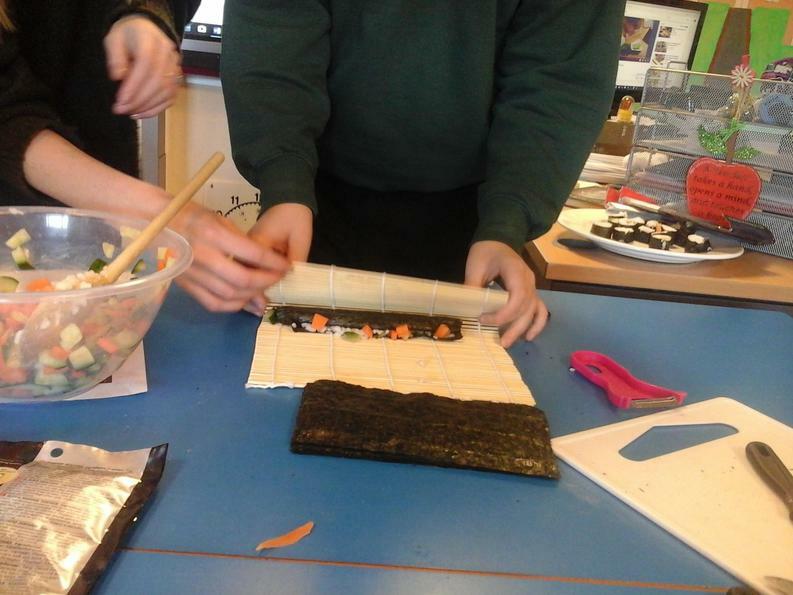 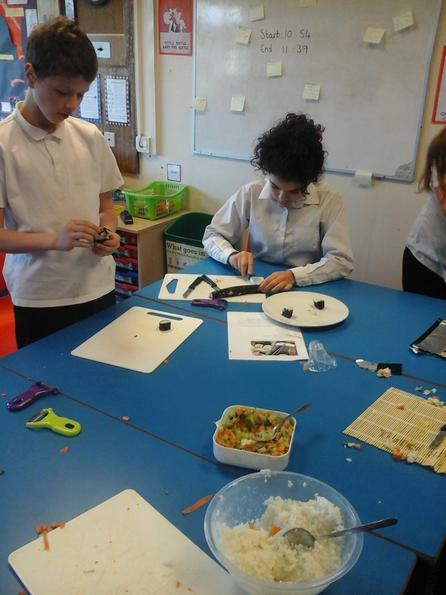 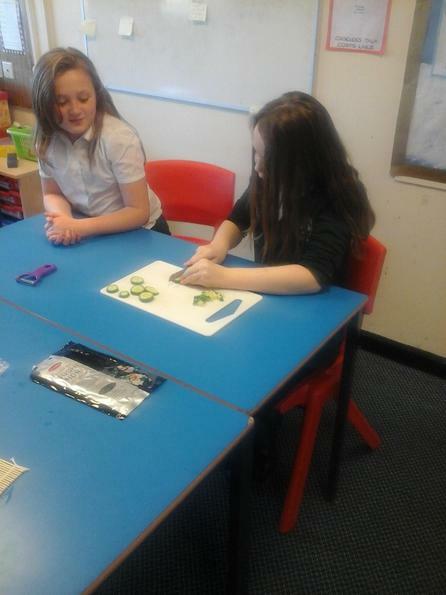 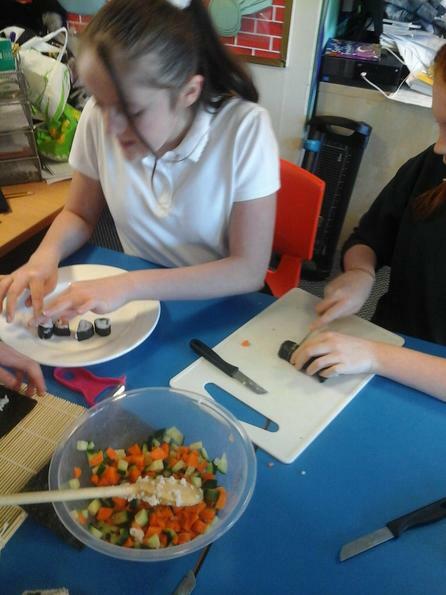 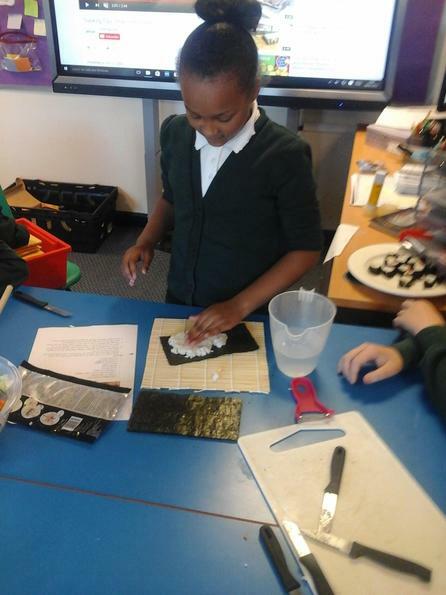 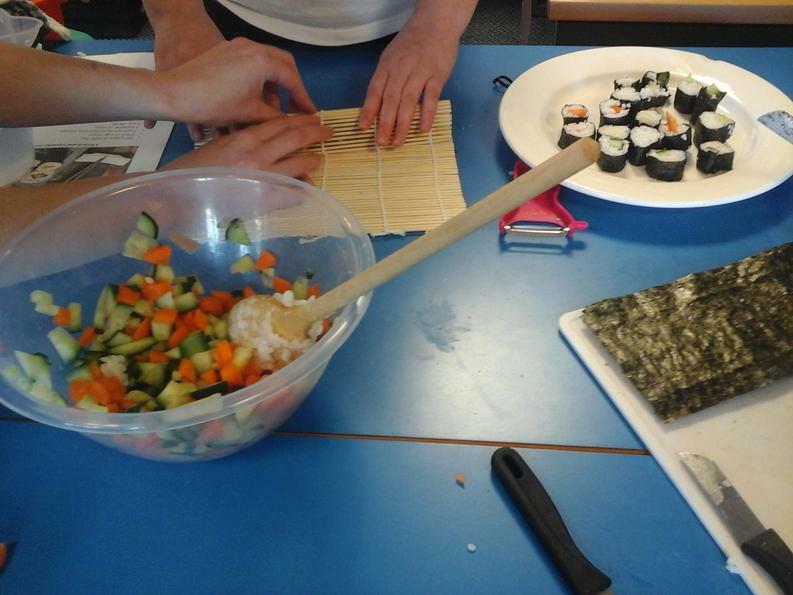 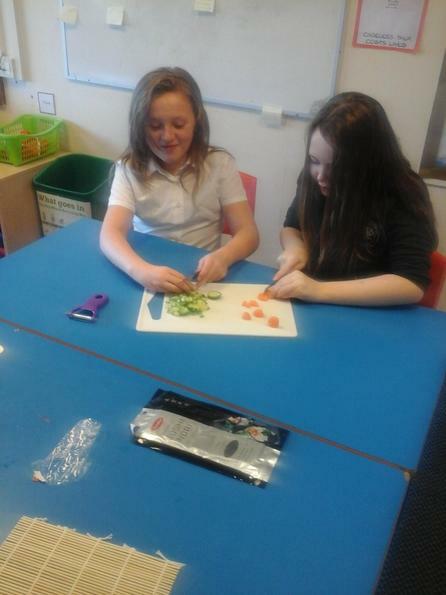 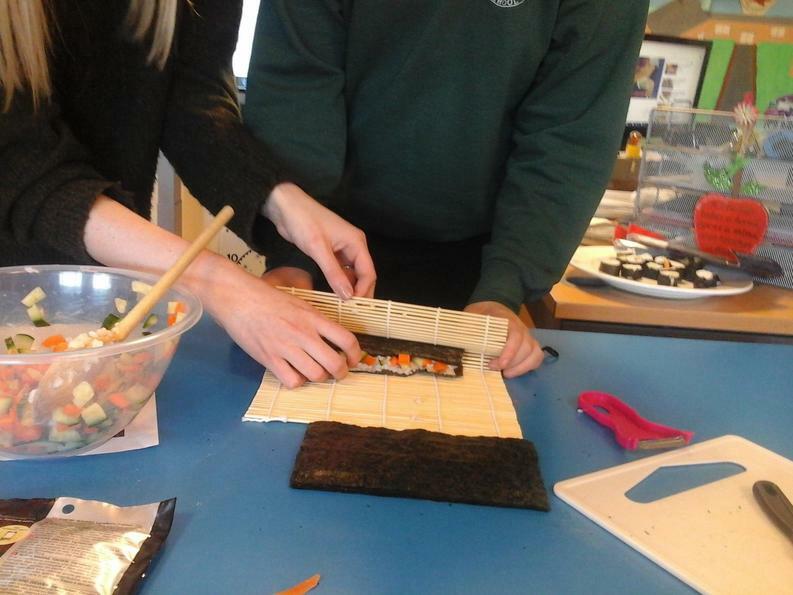 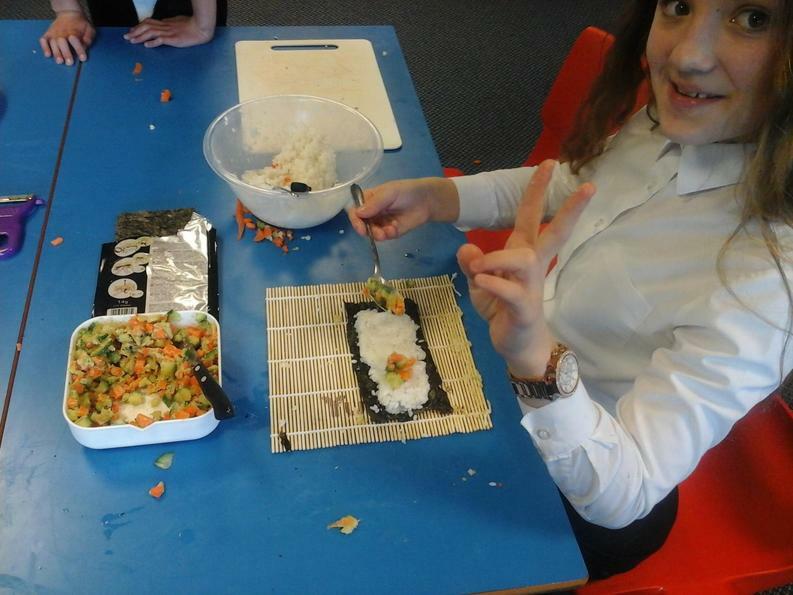 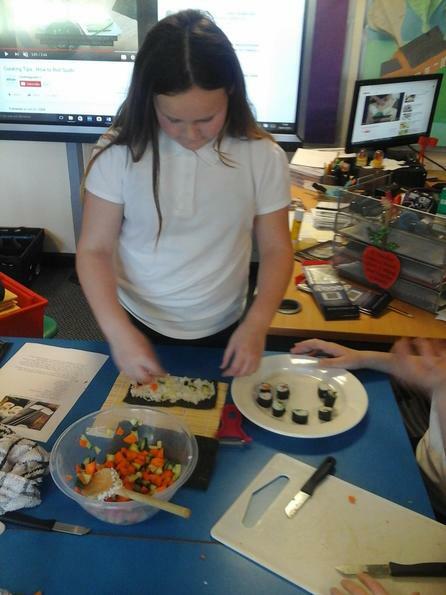 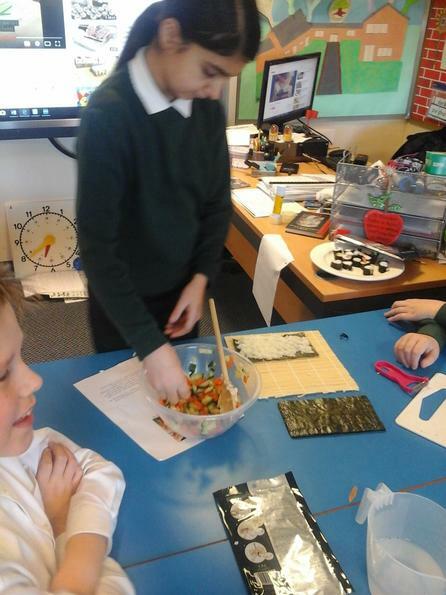 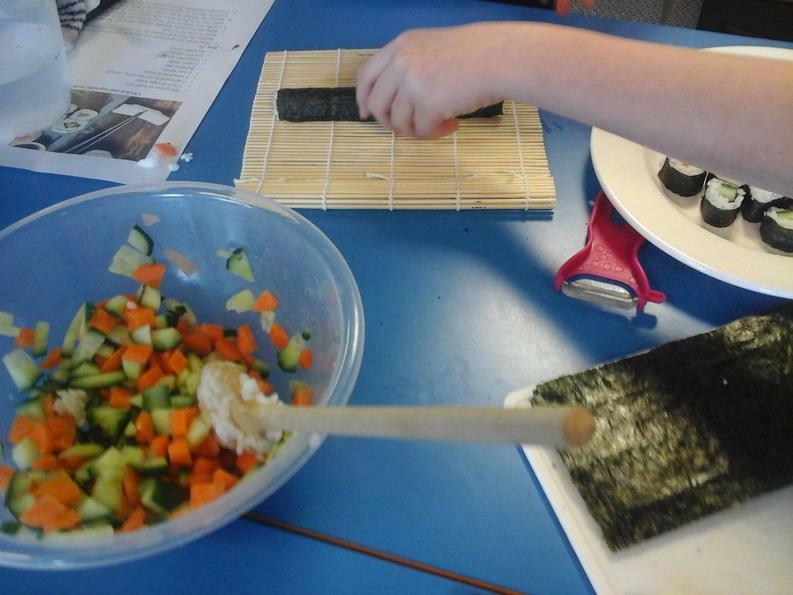 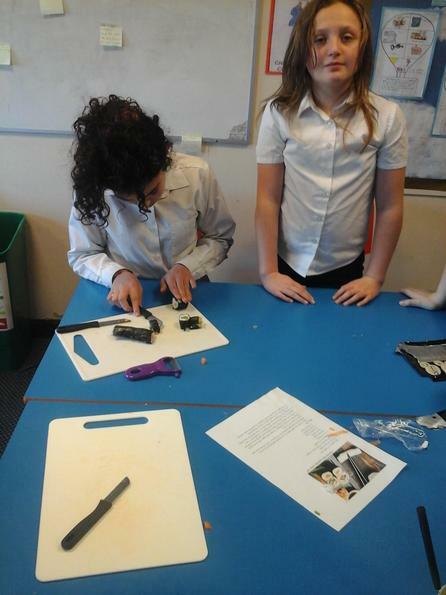 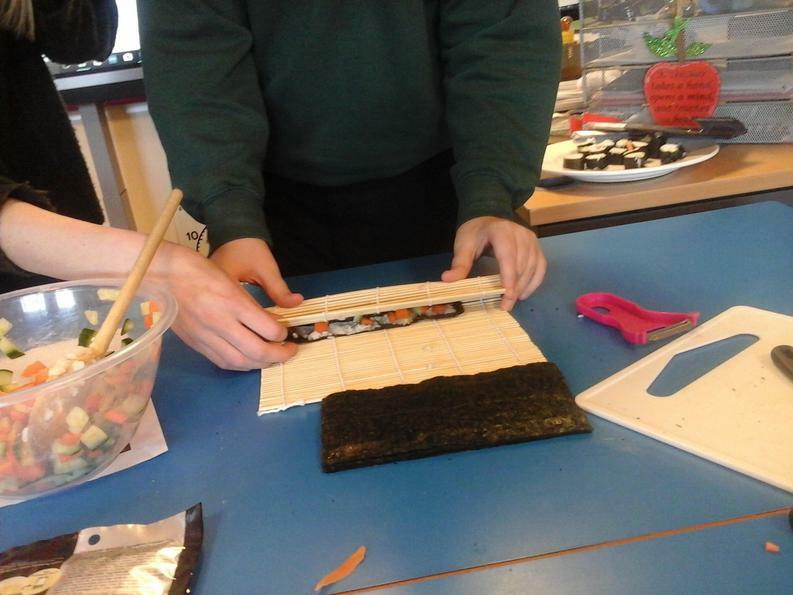 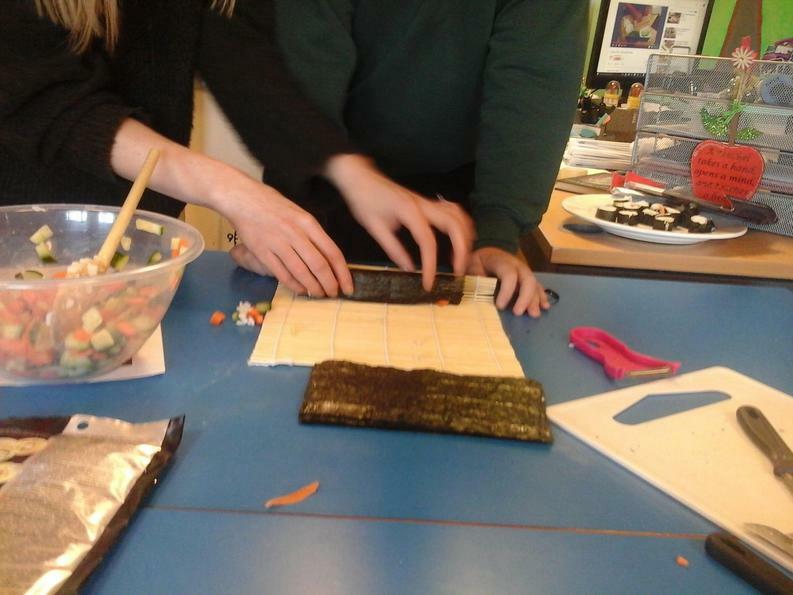 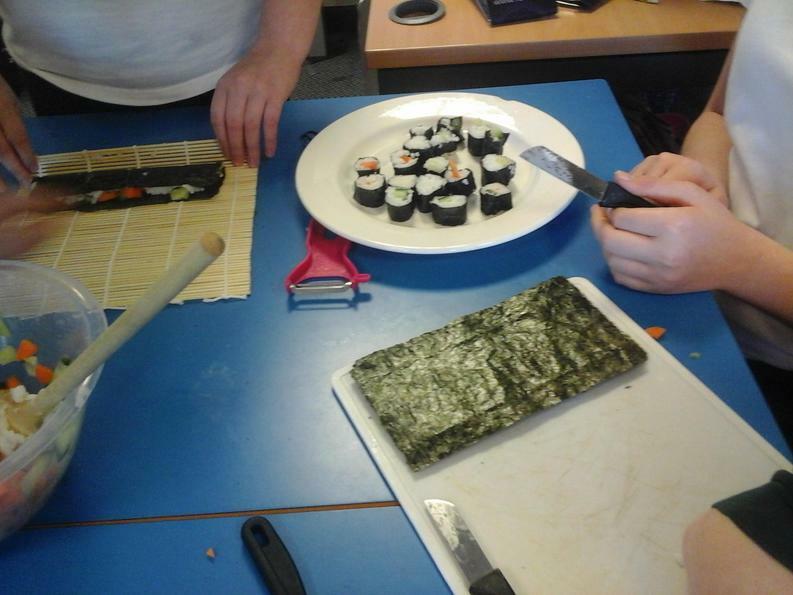 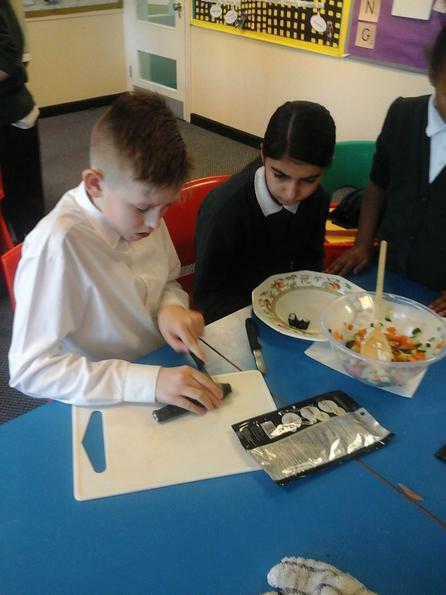 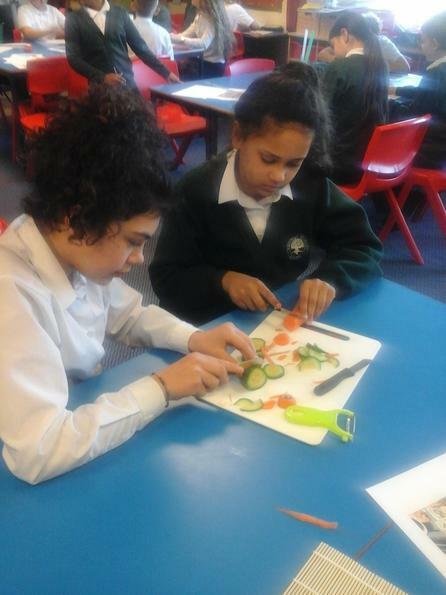 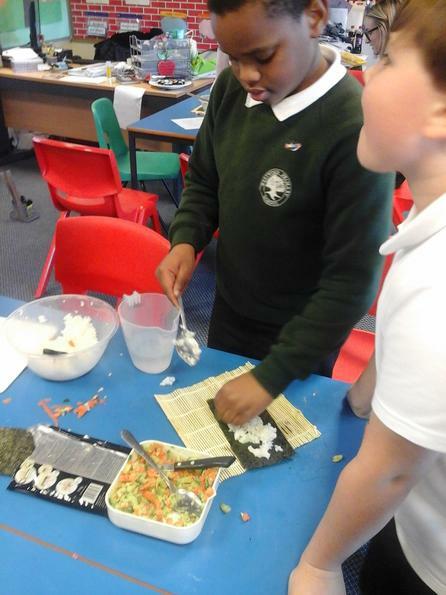 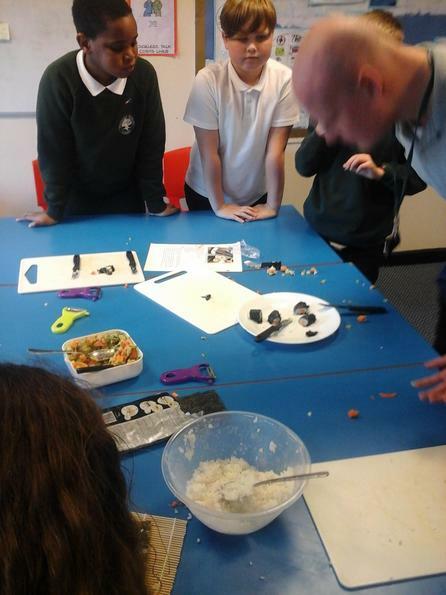 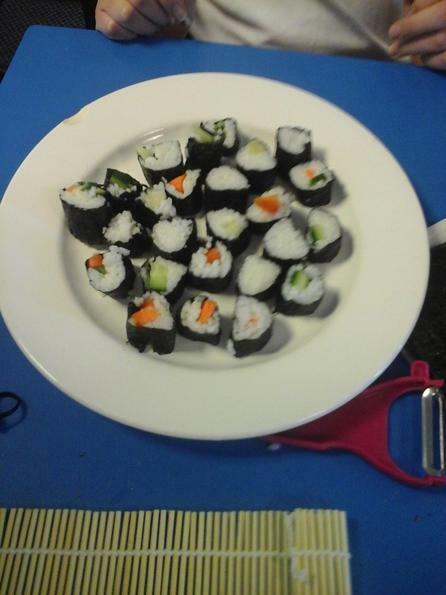 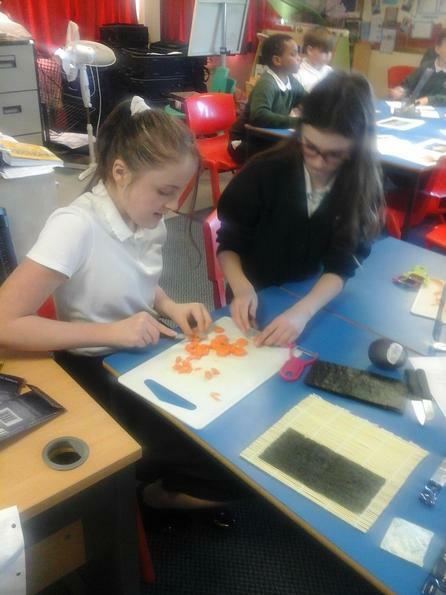 We even made our own vegetarian sushi using carrots, cucumbers, avocado, rice and Nori sheets (made from seaweed). 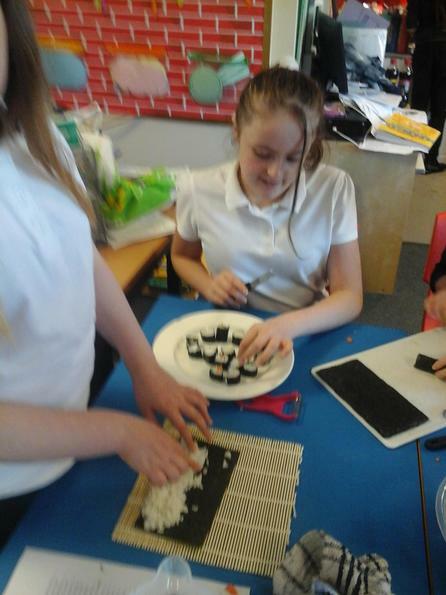 The trickiest part was definitely using the rolling mats. 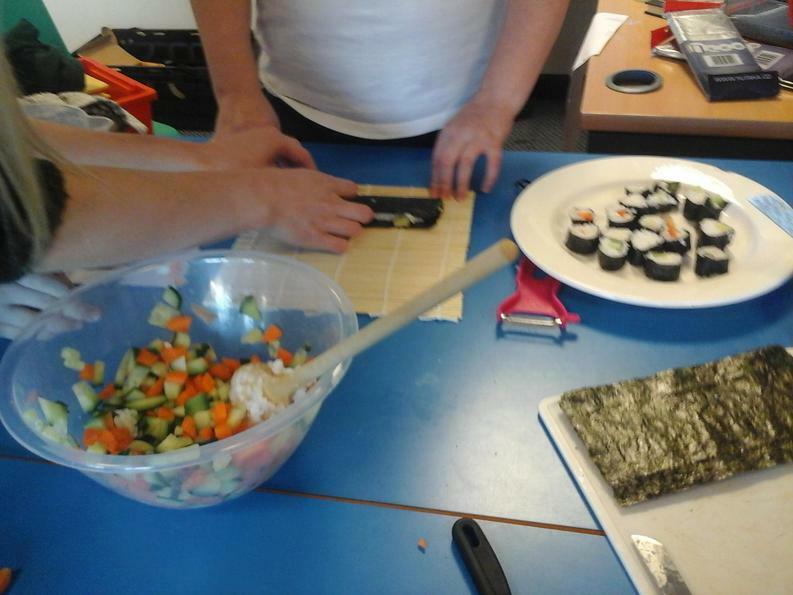 Sushi sampled, we recorded a short episode about Tokyo for Barnaby and we began the next leg of our adventure. 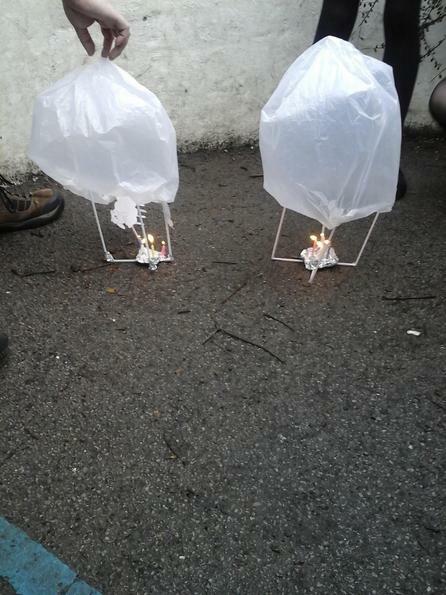 Soaring into the air, the balloon drifted south, past Taiwan and the Philippines, until we reached Australia. 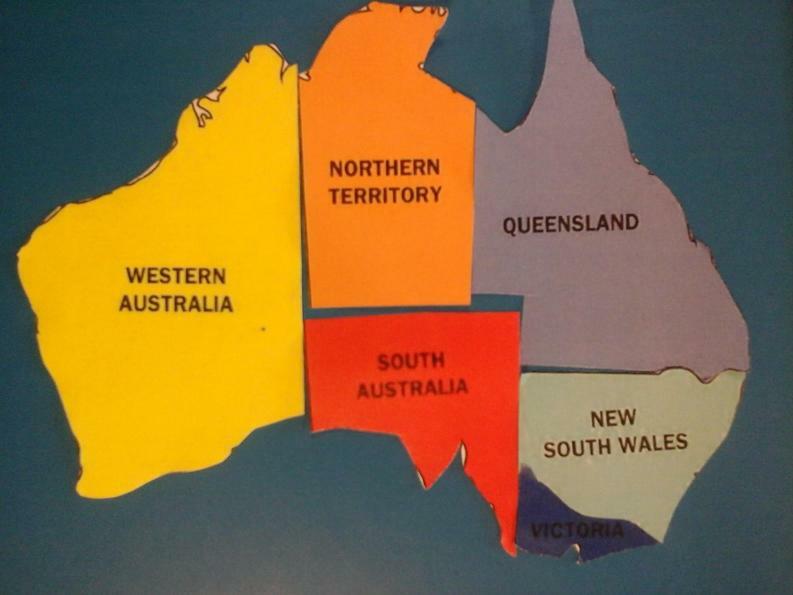 Australia, we discovered, is made up of several different states. 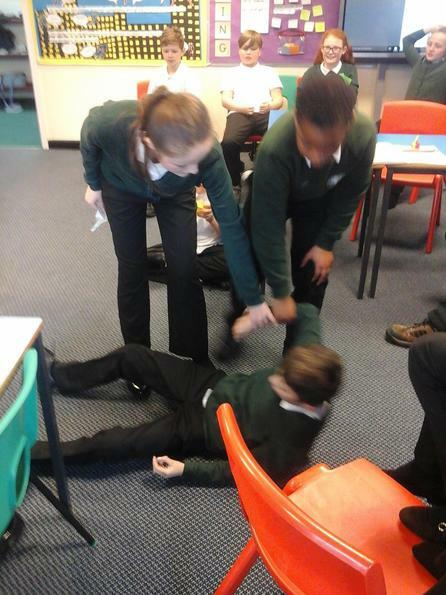 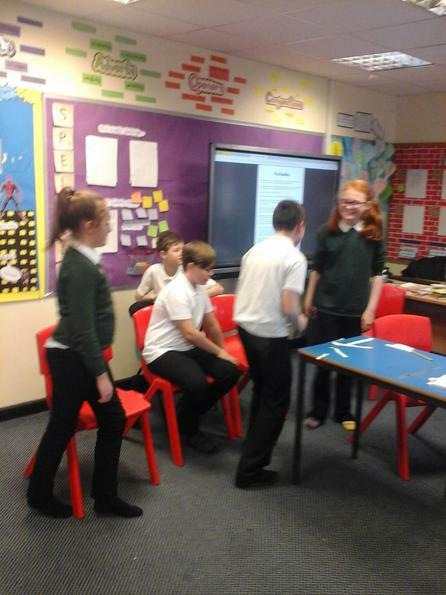 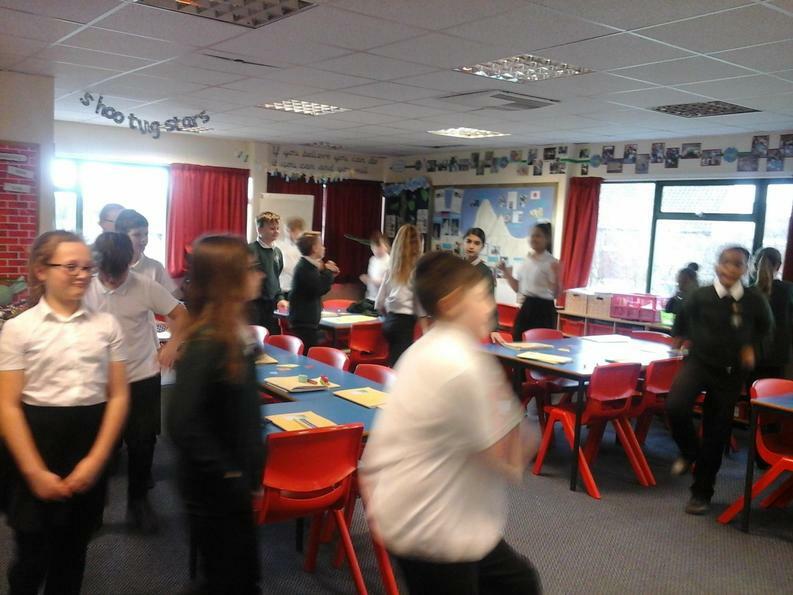 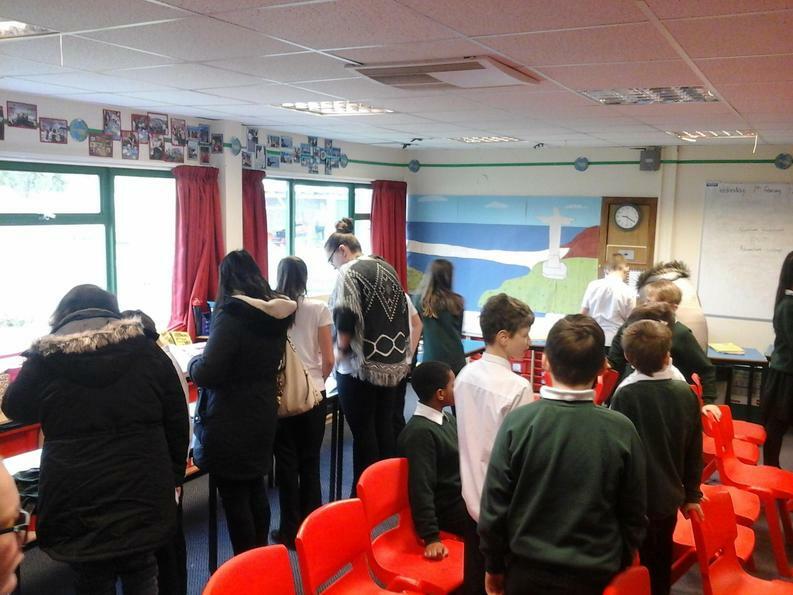 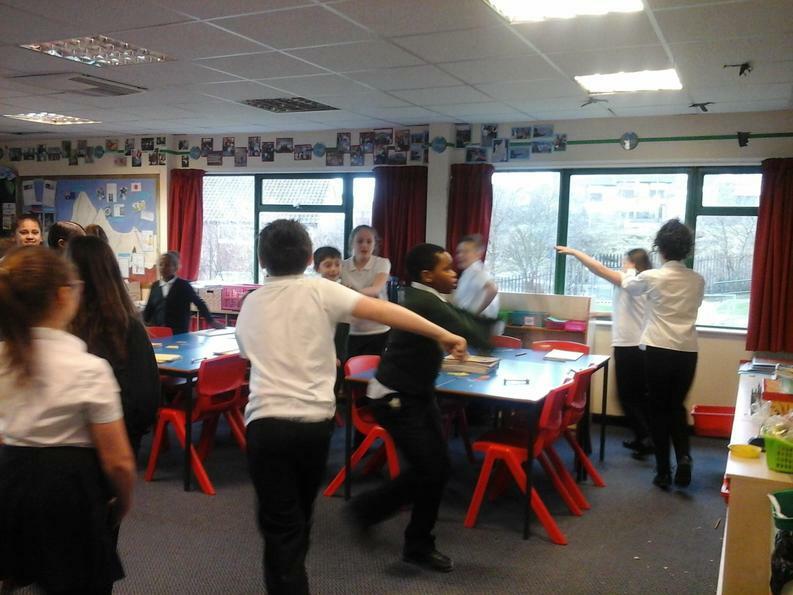 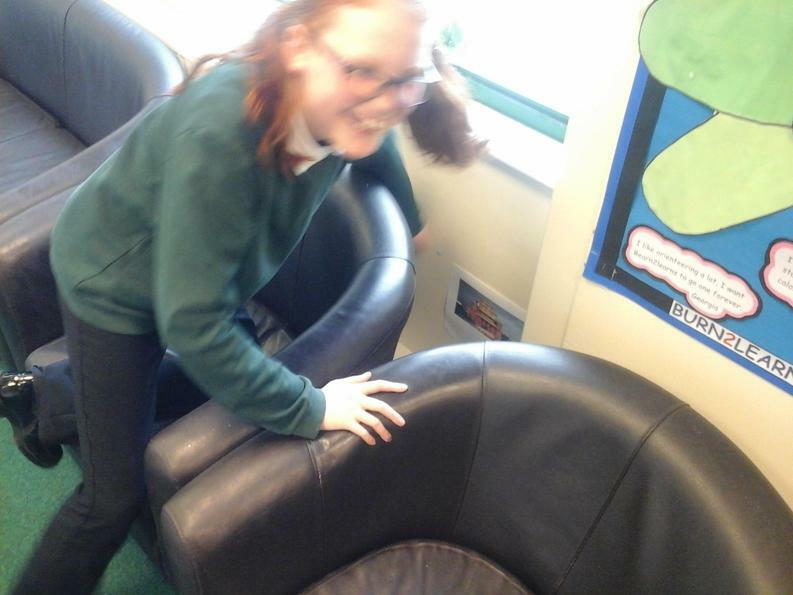 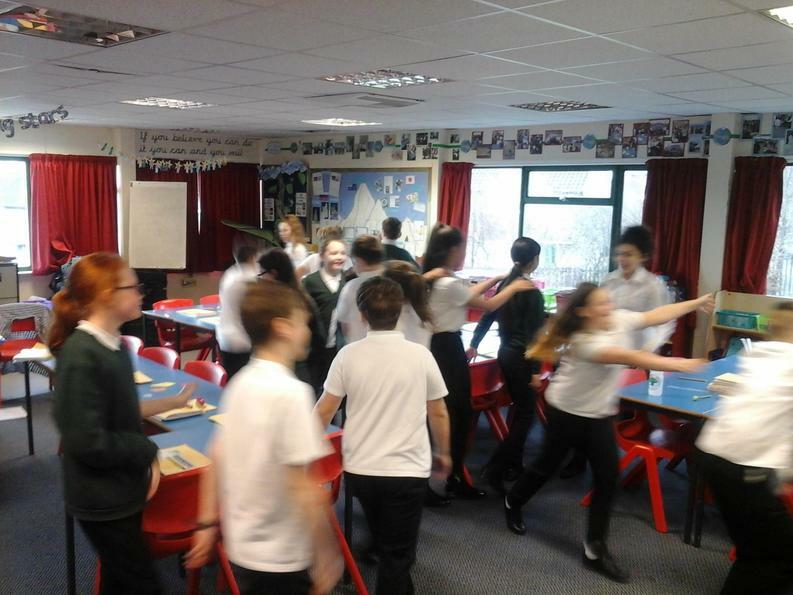 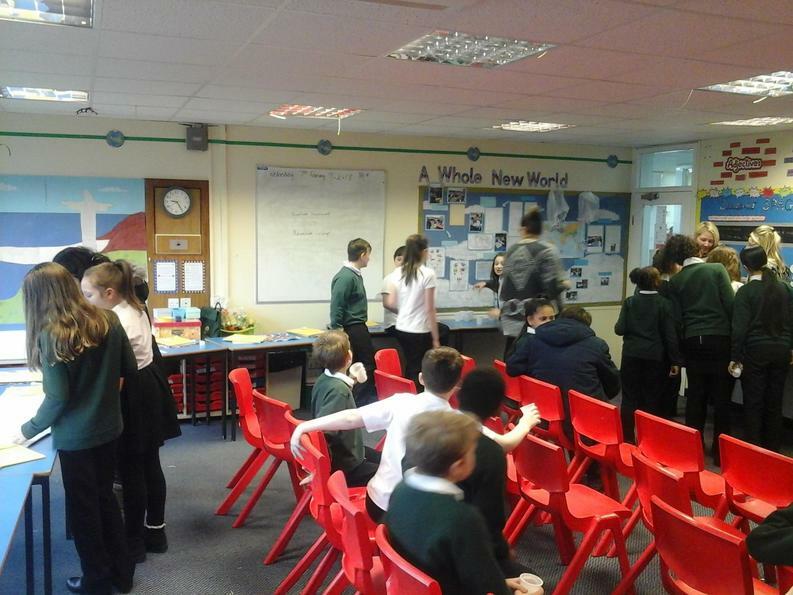 As part of a Burn 2 Learn, we had to assemble Australia like a jigsaw from the separate states, however whenever the music played, we had to stop the task and do the conga around the classroom! 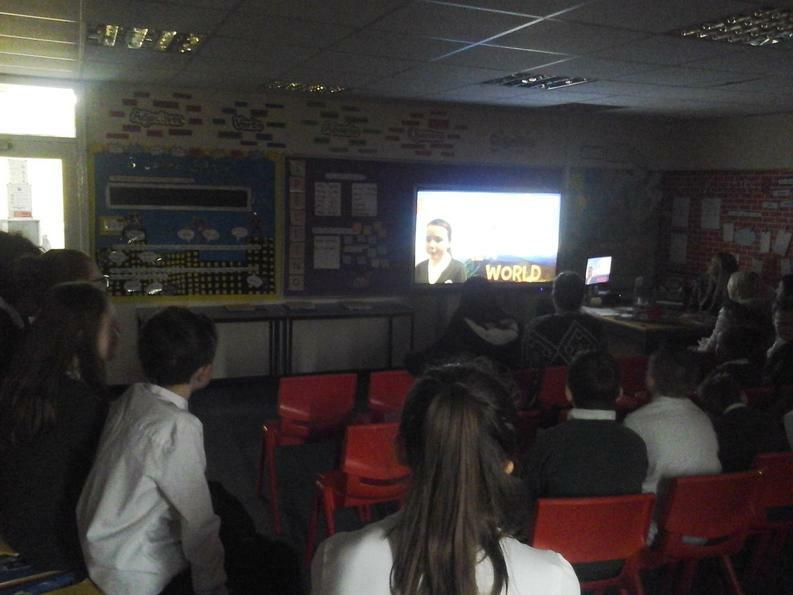 Feeling increasingly homesick, we decided to film the last episode of A Whole New World and set off for home. 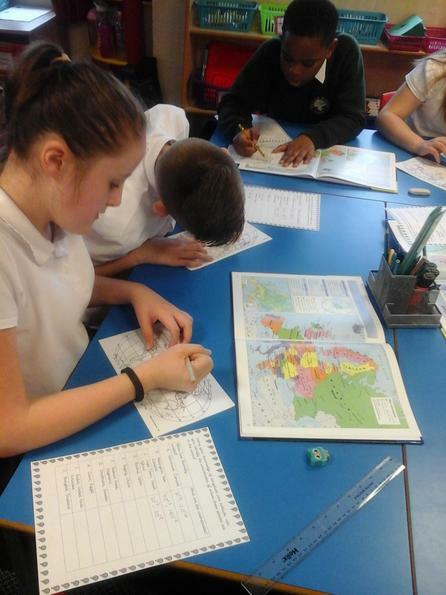 In order to remember all the places we'd been and all the things we'd done, we decided to make a collage using pictures of everything we had seen on our amazing adventure. 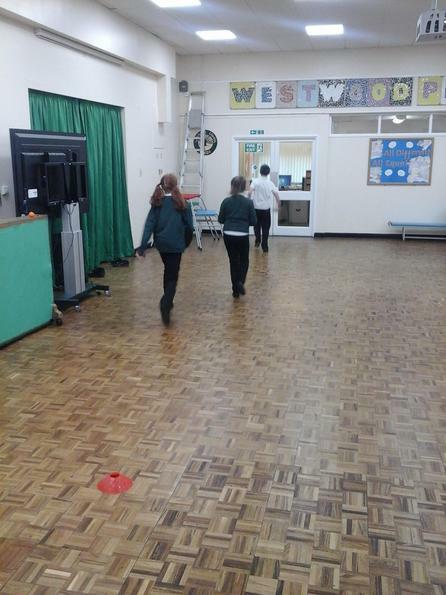 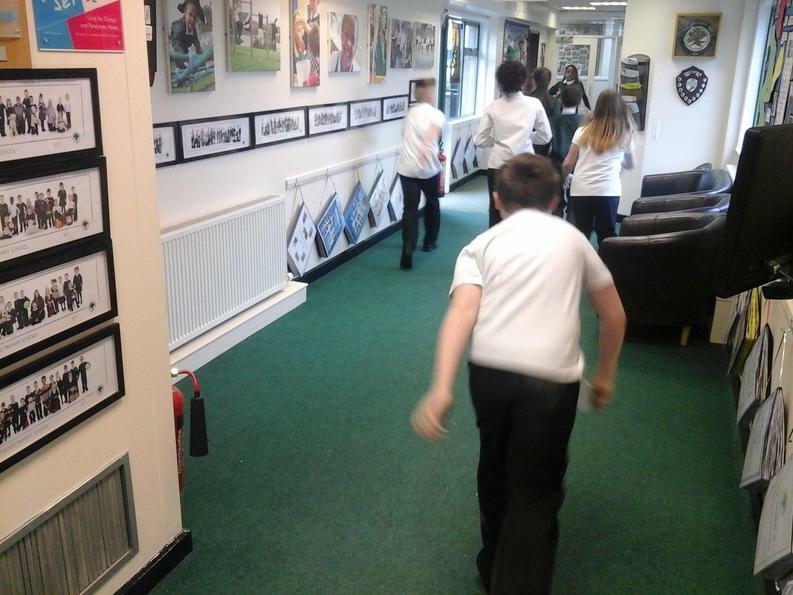 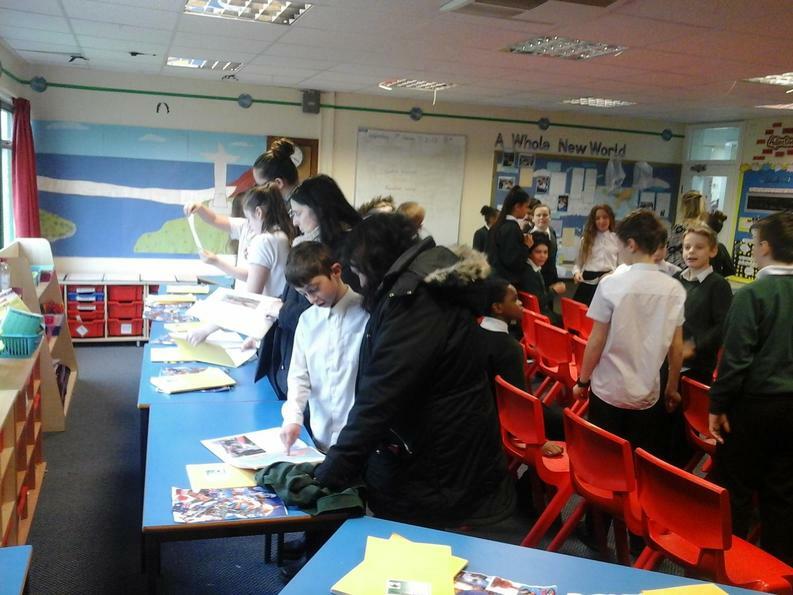 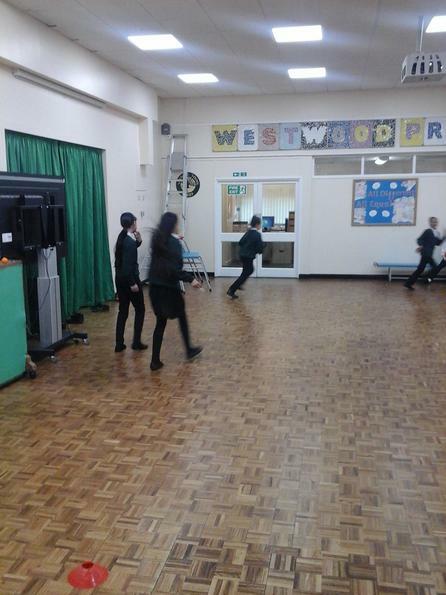 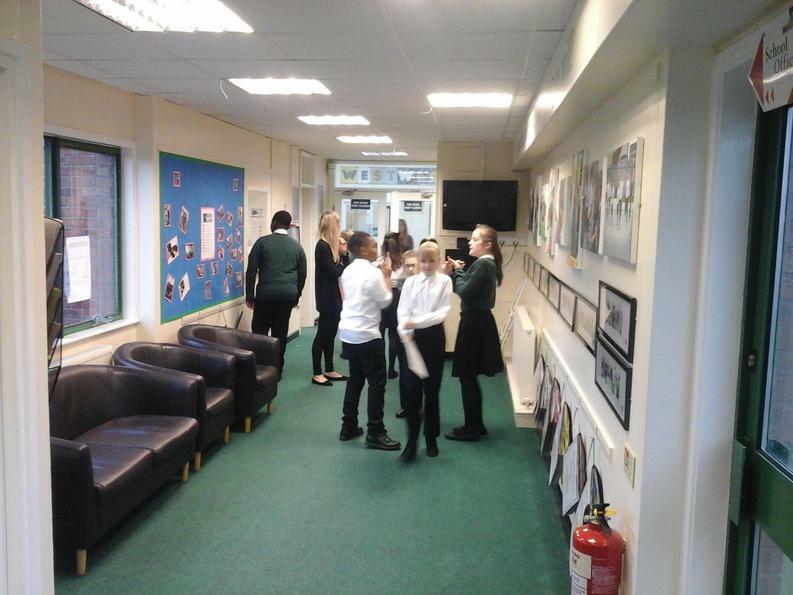 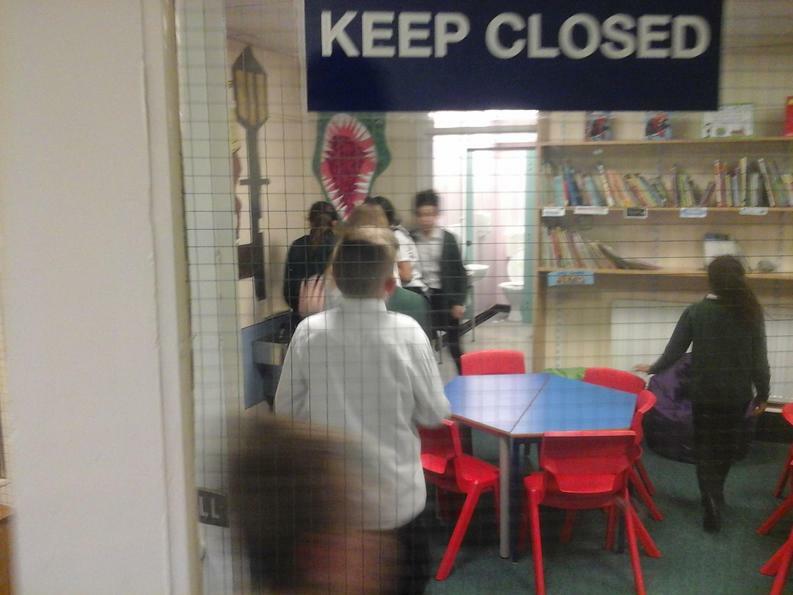 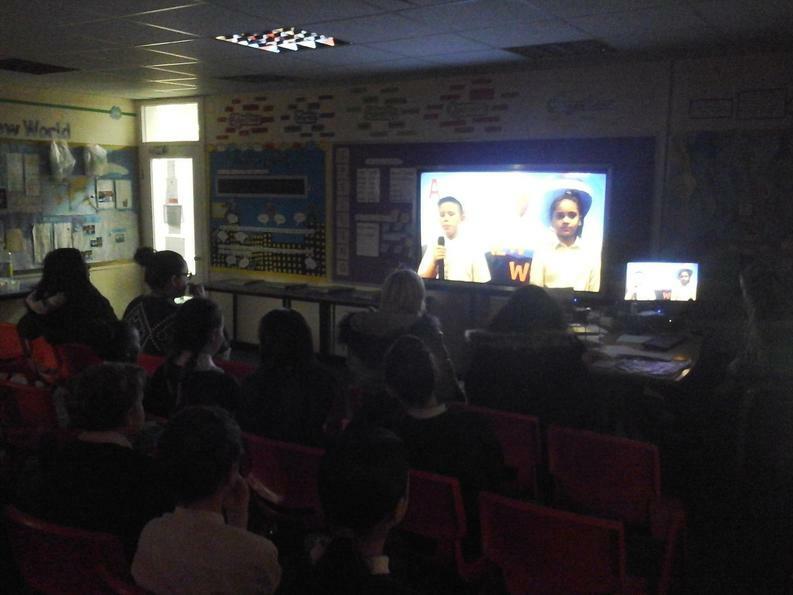 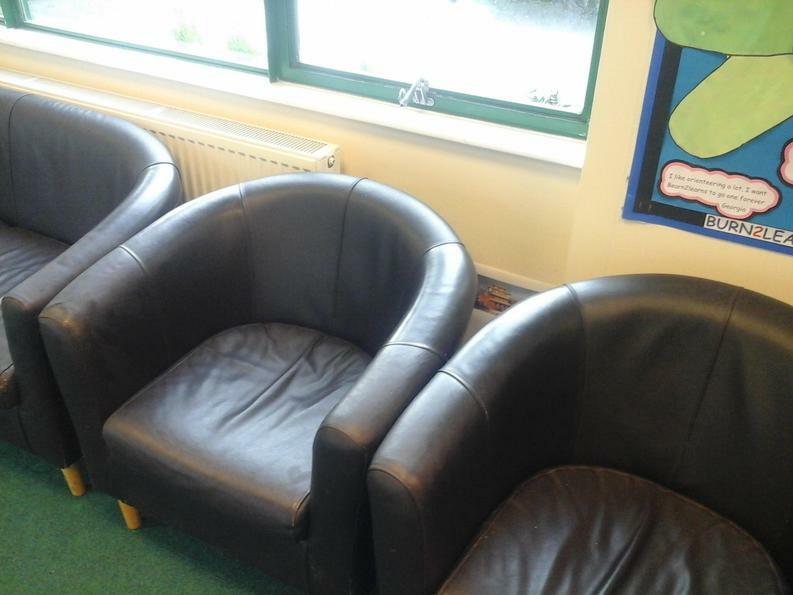 All episodes filmed, we sent them on ahead, back to Westwood, ready for a special premier of the series in school. 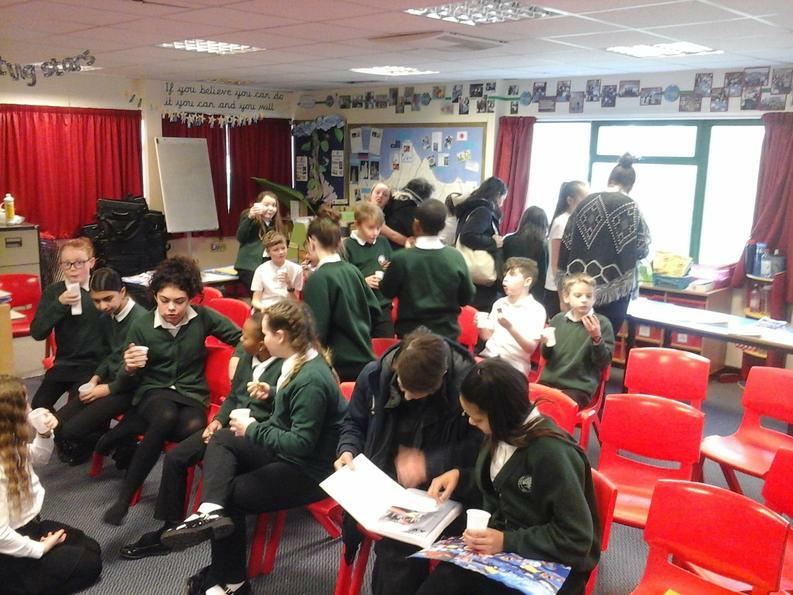 We invited our families and even got in some bubbly for the occasion! 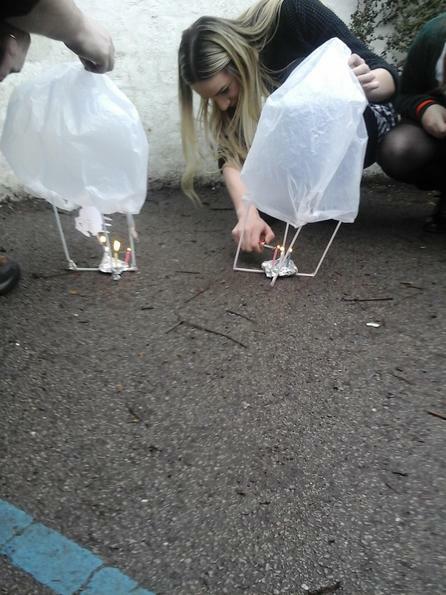 Blown off course, who knows where we will all end up! 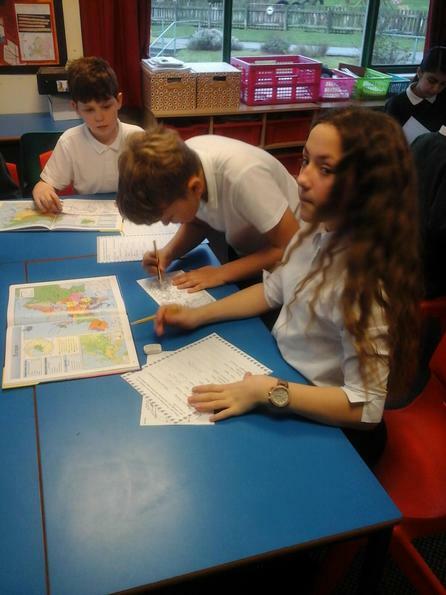 Click here and follow our next adventure to find out where we end up.